The Society members participating in the Harlow Shapley Visiting Lectureships program are listed below with their current affiliations, a list of some of the topics they're happy to discuss while on their visit, and a short biography. All of these visitors can give interesting public talks on a variety of topics, which in some cases extend beyond those listed. If you would like a talk on some particular topic, please specify it on the Visit Request Form or in a separate letter. These requests will be considered whenever possible in making the speaking assignments, but travel cost considerations may limit this choice in some cases. 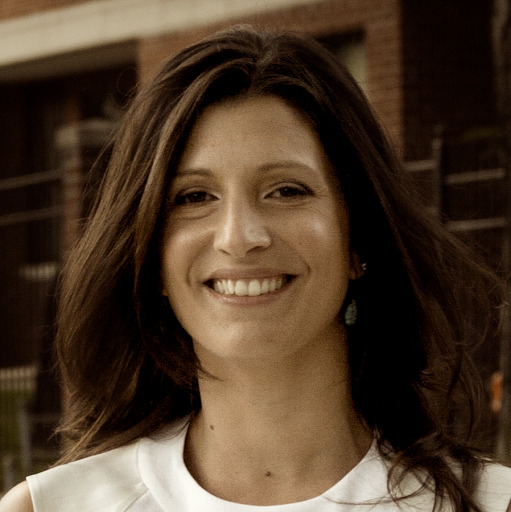 Dr. Acquaviva is a scientist with a broad range of interests who enjoys learning about new topics. She has a bachelor’s degree in Physics and a PhD in Astrophysics, and throughout her career, has published papers about the early Universe, gravitational lensing, modified gravity models, the cosmic microwave background, and galaxy evolution. 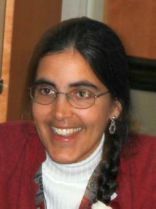 Dr. Acquaviva has always been interested in statistical techniques and parameter estimation, and wrote and distributed her own galaxy spectral energy distribution fitting code. Over the last few years, she has developed a strong interest in machine learning and data mining techniques, attended several classes both in person and online, and is now using these new tools to analyze data from large galaxy surveys. Since joining the faculty at City Tech in 2012, she has especially enjoyed teaching introductory astronomy classes and the chance to get so many students interested in the subject. Topics: NASA's New Horizons mission to Pluto; Juno: Revealing Jupiter's Interior; Europa: Most likely place to find life? 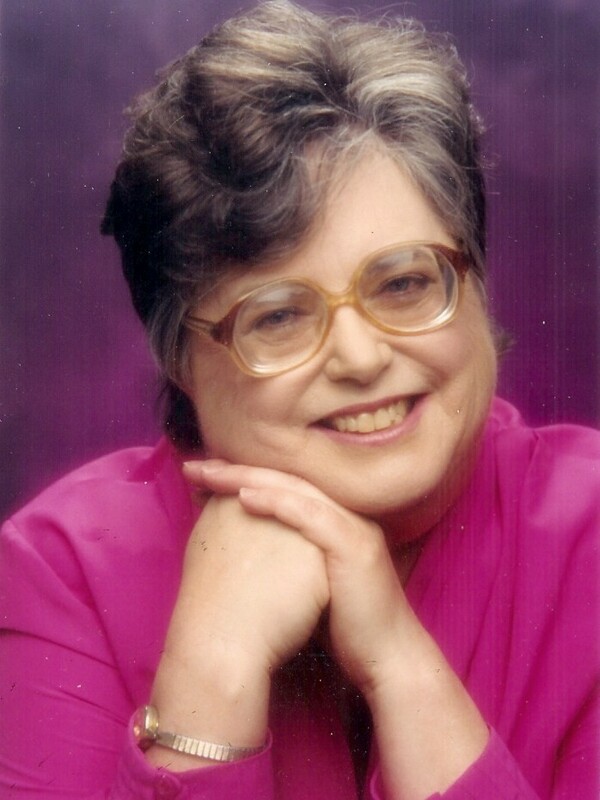 Dr. Fran Bagenal was born and grew up in England. In 1976, inspired by NASA’s missions to Mars and the prospect of the Voyager mission, she came to the US for graduate study at MIT. Her 1981 PhD thesis involved analysis of data from the Voyager Plasma Science experiment in Jupiter’s giant magnetosphere. She spent 1982-1987 as a post-doctoral researcher in space physics at Imperial College, London. Voyager flybys of Uranus and Neptune brought her back to the US and she joined the faculty at the University of Colorado, Boulder in 1989. She is professor of Astrophysical and Planetary Sciences and Research Scientist at the Laboratory of Atmospheric and Space Physics. In addition to the Voyager mission, Dr. Bagenal has been on the science teams of the Galileo mission to Jupiter and the Deep Space 1 mission to Comet Borrelly. She edited Jupiter: Planet, Satellites and Magnetosphere (Cambridge University Press, 2004). She heads the plasma teams on the first two New Frontiers missions: New Horizons mission that flew past Pluto on 14 July 2015 (after a 9.5-year flight) and Juno that will go into orbit over the poles of Jupiter in 2016. 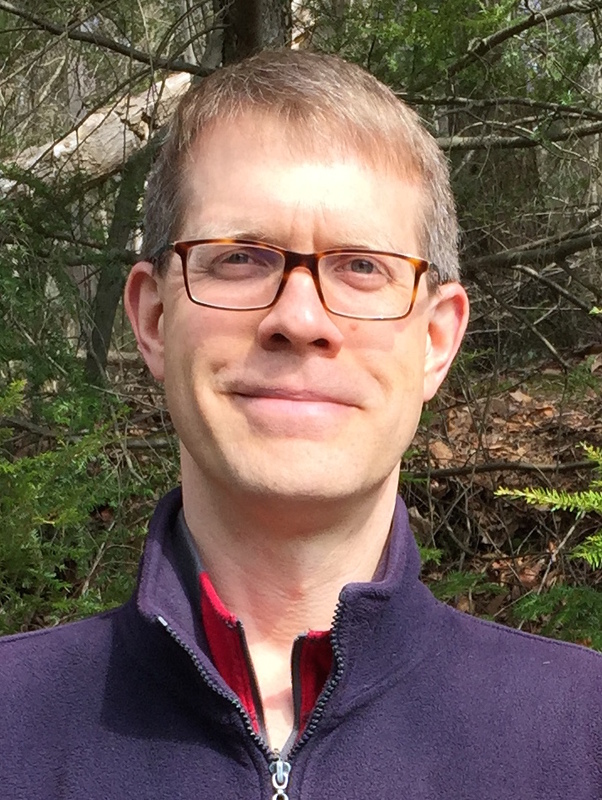 Andrew Baker is an Associate Professor in the Department of Physics and Astronomy at Rutgers, The State University of New Jersey, where he serves as director of a summer Research Experiences for Undergraduates (REU) program funded by the National Science Foundation. A native of Austin, Texas, he earned his PhD in astronomy from the California Institute of Technology in 2000. His research focuses on the use of radio, millimeter, and submillimeter wavelength observations of interstellar matter to probe how galaxy evolution unfolds in the nearby and distant universe. Among his specific interests are the properties of dusty star-forming galaxies and the cosmic evolution of neutral atomic hydrogen gas, which he will be studying with South Africa's new MeerKAT facility over the next few years. 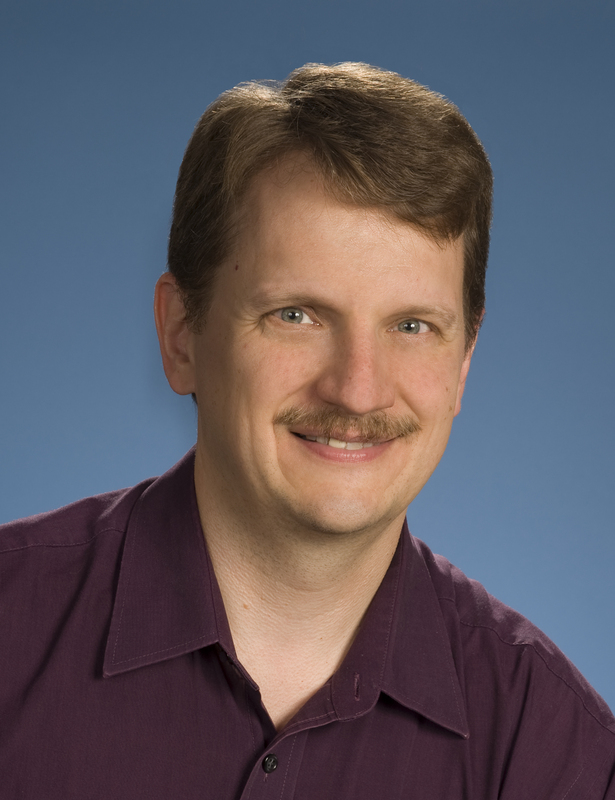 Dr. Wayne Barkhouse received his PhD from the Department of Astronomy and Astrophysics at the University of Toronto in 2003. He spent three years as a postdoctoral research astrophysicist at the Smithsonian Astrophysical Observatory, followed by two years as a postdoctoral researcher in the Department of Astronomy at the University of Illinois, Urbana-Champaign. 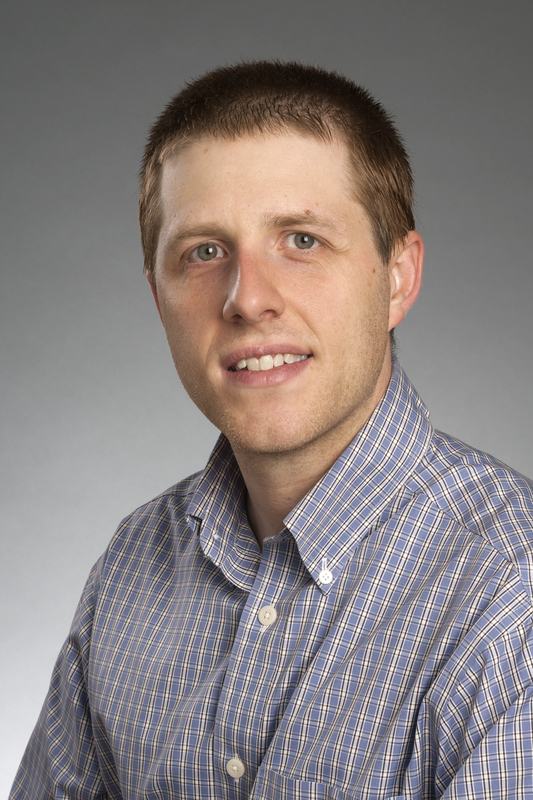 Dr. Barkhouse joined the Department of Physics and Astrophysics faculty at the University of North Dakota in 2007 as an assistant professor, and became an associate professor in 2013. He is an associate member of the Dark Energy Survey and a science collaborator with the LSST. His research interests include galaxy clusters, dark energy, cosmology, and multi-wavelength surveys. Dr. James Barnes studies the physics and geology of planets and planetary systems. His specialties are twofold. He works to characterize extrasolar planets using transit lightcurves from Kepler, and he studies the surface of Saturn’s moon Titan from the Cassini spacecraft. With a background in both physics and geology, Dr. Barnes works to bridge these the two disciplines when studying planets of all types and to place our own Earth into context. Dr. Gibor Basri received his BS in Physics from Stanford University and a PhD in Astrophysics form the University of Colorado, Boulder. He moved to the University of California, Berkeley when awarded the Chancellor’s Postdoctoral Fellowship. Dr. Basri joined the faculty of the Berkeley Astronomy Department in 1982 and became a full professor in 1994. He was named a Sigma Xi Distinguished Lecturer in 2000. His early work was on star formation, and he has consistently studied the role of magnetic fields on stars. Dr. Basri was one of the discoverers of brown dwarfs (intermediate between stars and planets), and a pioneer in their study. In December 2001, he was a co-investigator on the successful proposal to NASA for the Kepler mission, which is now searching for Earth-sized planets around other stars. He was named a Fellow of the California Academy of Sciences in 2011. 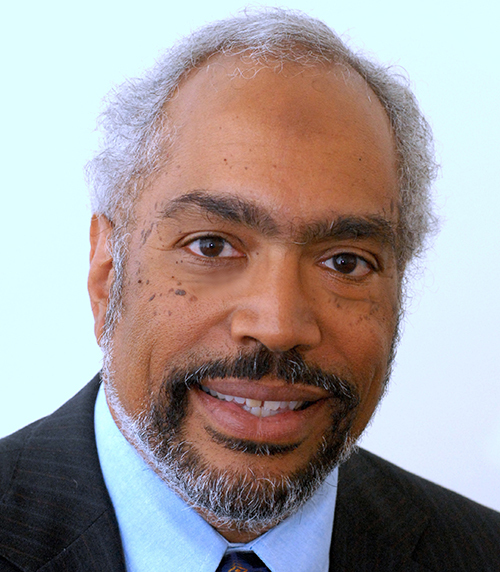 He has consistently worked to diversify science and higher education, and served as the founding vice chancellor for equity and inclusion at UC Berkeley from 2007-2015. Dr. Jillian Bellovary studies the formation and evolution of massive black holes using cosmological hydrodynamic simulations. She is interested in how they form in the early universe, how they grow to become the behemoths we see today, and whether or not we can find them in dwarf galaxies. Dr. Bellovary attended the University of Wisconsin-Madison and studied astronomy, physics, and philosophy. After graduation she joined the US Peace Corps and lived in The Gambia, West Africa, for two years, where she taught college physics and had many adventures. Upon her return she earned her PhD in astronomy from the University of Washington. While in Seattle, Dr. Bellovary worked as an advisor to McNair Scholars and other underrepresented students with graduate school goals, as well as with the Pre-Major in Astronomy Program (Pre-MAP), which strives to involve first-year underrepresented students in scientific research in order to increase the retention of women and minorities in the sciences. She is currently a Bridge Postdoctoral Fellow at Vanderbilt University, where she is continuing her black hole research and is actively involved in the Fisk-Vanderbilt Masters-to-PhD Bridge Program. Dr. Matt Bobrowsky is an author, scientist, and science educator. He has a broad range of interests and has been a featured speaker at a wide variety of venues ranging from cruise ships to the USA Science and Engineering Festival, and he has also appeared on television and radio programs. His presentations feature live demonstrations and audience participation. Topics he frequently speaks on include astrobiology / life in the universe, science vs. pseudoscience, planetary nebulae, stellar evolution, our place in space, science with the Hubble Space Telescope, and the 2017 total solar eclipse. 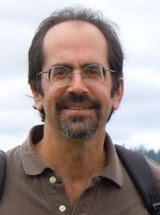 Matt has a Ph.D. in Astronomy and Physics, and throughout his career, has published numerous papers on various topics in scientific research and science education. He is also the lead author of the Phenomenon-Based Learning series of books published by NSTA press. Matt is especially gifted at explaining scientific or technical information in terms that anyone can understand. Dr. Niel Brandt has been at Penn State University since 1997 and is currently the Willaman Professor in the Department of Astronomy & Astrophysics. Previously, he was a postdoctoral fellow at the Harvard Smithsonian Center for Astrophysics and a graduate student at the University of Cambridge. Dr. Brandt’s research focuses on observational studies of supermassive black holes (SMBHs) and cosmological X-ray surveys. Specific objects investigated include actively accreting SMBHs (active galactic nuclei), starburst galaxies, and normal galaxies. His work utilizes data form facilities at the forefront of astrophysical discovery, including the Chandra X-ray Observatory, XMM-Newton, NuSTAR, and the Sloan Digital Sky Survey. He is also involved with upcoming projects, including the Large Synoptic Survey Telescope and the Advanced Telescope for Higher Energy Astrophysics (ATHENA). Dr. Brandt leads a small research group including postdoctoral researchers and students, and also regularly teaches courses on high-energy astrophysics, black holes, and active galaxies. Dr. Carolin Cardamone is an assistant professor of astronomy at Wheelock College who is passionate about science education and science communication. Her astrophysics research on the evolution of galaxies over the history of the universe concentrates on the connection between the growth of a galaxy’s central black hole and the growth of its stars. She is actively involved in citizen science and is a member of the Galaxy Zoo (galaxyzoo.org) science team. An observational astronomer, Dr. Cardamone uses multi-wavelength data from a variety of large surveys, studying galaxy emission in X-rays, ultraviolet, optical, and infrared emission. She is developing a variety of introductory science courses for non-majors at Wheelock College, as well as teaching classes on the solar system, the physics of sports, and the nature of science. Dr. Edward Churchwell received his PhD from Indiana University in 1970. He moved to the Max Planck Institute for Radioastronomie (MPIfR) in Bonn, Germany, where he was a Heinrich Hertz Postdoctoral Fellow from 1970-1972 and a tenured scientist from 1972-1977. Dr. Churchwell joined the faculty of the University of Wisconsin, Madison in 1977 as a professor of astronomy, became the Albert E. Whitford Professor of Astronomy in 2006, and has been the Albert E. Whitford Professor Emeritus since 2008. His expertise is in observational techniques of radio and infrared astronomy. His scientific interests include astrophysics of star formation; properties of HII regions, molecular clouds, and the interstellar medium; large scale galactic structure; cosmology; extraterrestrial life; and degenerate stars. Dr. Churchwell has taught astronomy and astrophysics at all levels from high school to post graduate courses, and enjoys interacting with student of all ages. Dr. Neil Comins’s research focuses on the evolution of galaxies, astronomical optics, and common misconceptions about astronomy and how to overcome them. He received his bachelor’s degree from Cornell University, his master’s degree from the University of Maryland studying experimental general relativity, and his PhD from University College, Cardiff, Wales, where he focused on theoretical general relativity. He was a NASA summer fellow and is currently a professor of astrophysics at the University of Maine. He has also written six books: Discovering the Universe, Discovering the Essential Universe, What If the Moon Didn’t Exist?, What If the Earth Had Two Moons?, Heavenly Errors, and The Traveler’s Guide to Space (coming soon!). Dr. Comins’s early work in general relativity was cited by Chandrasekhar in his Nobel Prize lecture, and he also holds the distinction of being a cartoon character in Japan since 2006. 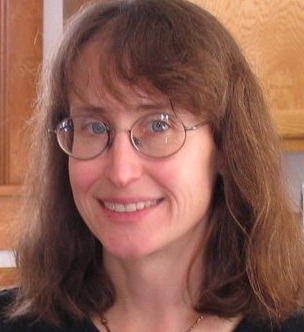 Dr. Lynn Cominsky is the chair of the Physics and Astronomy Department at Sonoma State University (SSU), where she has been on the faculty for over 25 years. She is the founder and director of SSU’s Education and Public Outreach Group, which excels at K-12 teacher training, curriculum development, and the development of interactive web activities for students that teach astronomy and other STEM subjects. In the past, she has served as the scientific director for the PBS NOVA television program Monster of the Milky Way and accompanying planetarium show “Black Holes: The Other Side of Infinity.” In 1993, Dr. Cominsky was named SSU’s Outstanding Professor, and the California Professor of the Year by the Council for the Advancement and Support of Education. She is a Fellow of the California Council on Science and Technology, the American Physical Society, and the American Association for the Advancement of Science. For a decade, she served as the Deputy Press Officer for the American Astronomical Society, during which time she often explained astronomy to the public. 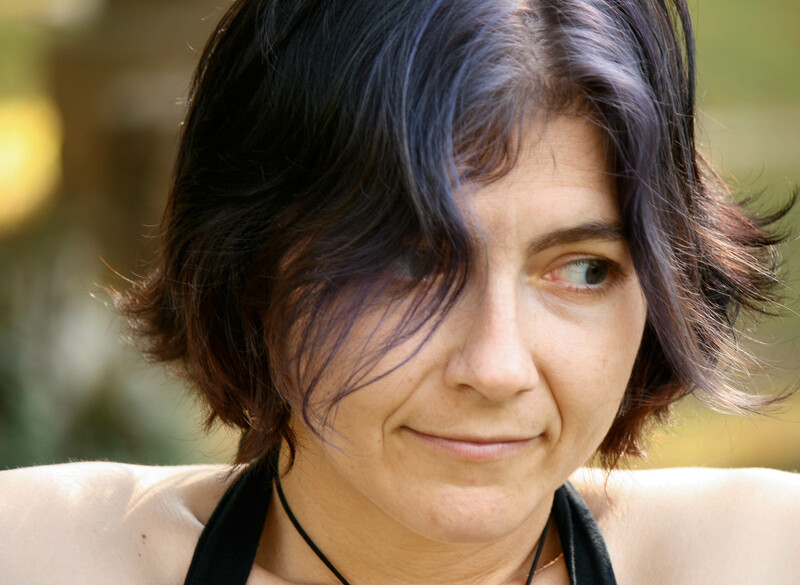 Dr. Susana Deustua’s research interests are in calibration and precision spectrophotometry of standard stars, and in observational cosmology using Type Ia supernovae to map the expansion history of the universe. 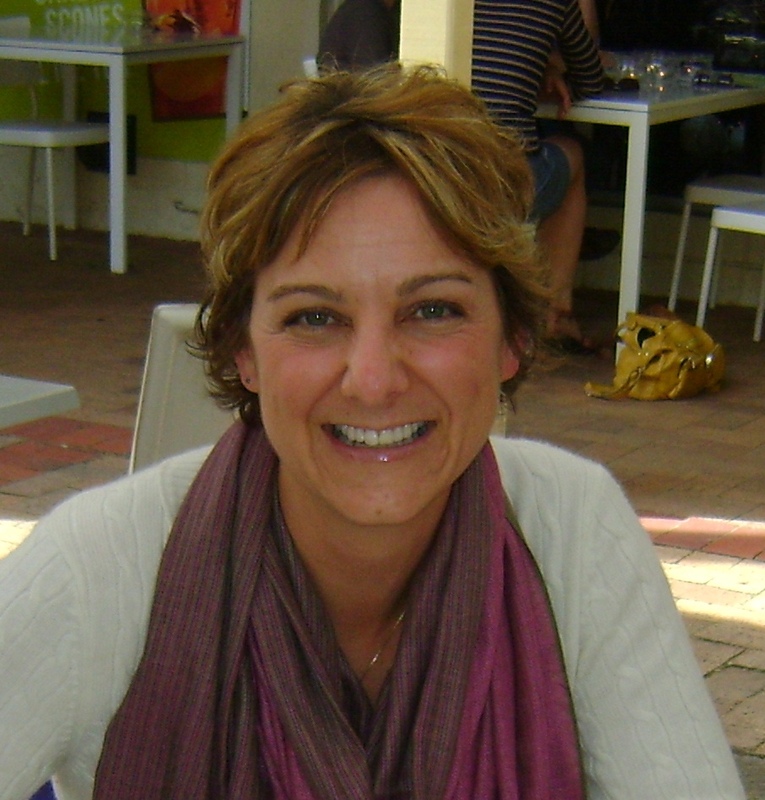 Her professional activities include working with science teachers to improve their knowledge of astrophysics. Dr. Deustua is author or co-author on 108 articles, and principal investigator or co-investigator on over 25 successful proposals. 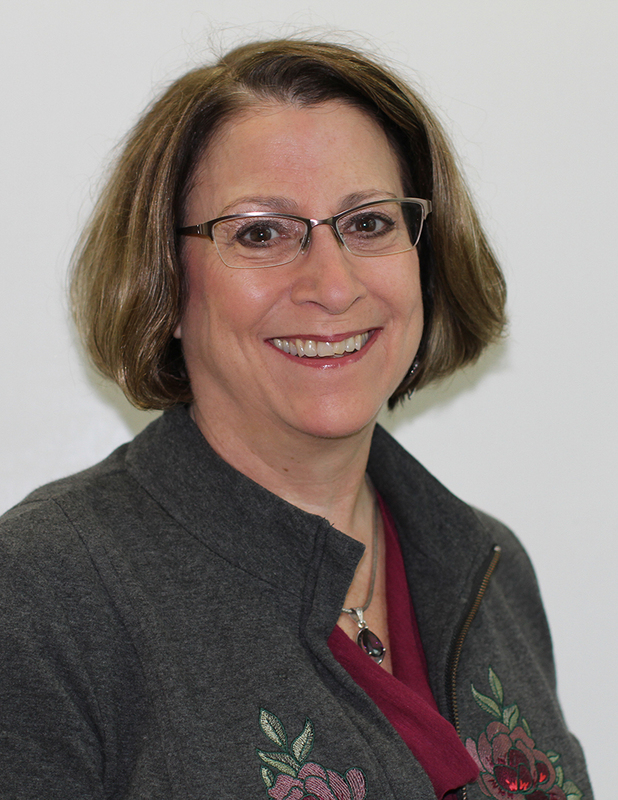 She has experience in ultraviolet-infrared imaging and spectroscopy, instrument calibration, and education and outreach. She is co-recipient of the 2015 Breakthrough Foundation Prize in Physics and of the 2007 Gruber Cosmology Prize. Both are team prizes awarded for the discovery of the accelerating universe. Dr. Donovan Domingue received his degrees from Louisiana State University and the University of Alabama. He has been a team member of the Spitzer Science Center and currently serves as a faculty member and Endowed Science Education Chair at Georgia College, a liberal arts university. As a faculty member, Dr. Domingue has the privilege of teaching physics and astronomy courses to a wide variety of students. He spends time supervising undergraduate research at the local observatory and performing outreach activities at a planetarium. His research projects focus on the evolution of galaxies as they interact with their neighbors and environment. Recently, Dr. Domingue has been using data from the Herschel Space Telescope and the Spitzer Space Telescope. He has always found it important to investigate and share the origins of the universe and therefore tell the beginnings of the story of humanity. Dr. Erica Ellingson is the director of the CU STARS (Science, Technology, and Astronomy Recruits) program at the University of Colorado, a program which seeks to recruit and retain students of diverse backgrounds as STEM majors. One focus of her activities is to identify incoming students who would benefit from immediate inclusion in a supportive community of other science majors, graduate students, and faculty. The program offers mentoring, academic support, paid internships at the planetarium, and outreach trips to both urban and rural high schools throughout Colorado. (Battersby, et al. 2015, 2015AAS…22523907B: http://adsabs.harvard.edu/abs/2015AAS...22523907B) One of Dr. Ellingson’s goals in becoming a Shapley Lecturer is to foster long-lasting connections with community colleges and small universities in Colorado and the southwest that offer associate degrees in the sciences or pre-engineering degrees to diverse communities. Her hope is that these connections will allow them to help students considering making the transition to four-year universities such as CU and provide the support they need to succeed. Dr. Gordon Emslie is a professor of physics & astronomy at Western Kentucky University. He has also held positions at The University of Alabama in Huntsville and Oklahoma State University. Dr. Emslie’s primary research interests are in the physics of solar flares, but he has also carried out research on celestial mechanics and on gamma-ray bursts. He is a co-investigator on the NASA Ramaty High Energy Solar Spectroscopic Imager (RHESSI) mission. Dr. Emslie has presented numerous public lectures on subjects as diverse as particle acceleration in the universe and how to make images of astrophysical sources in X-rays to the stability of planetary rotation and the existence of extraterrestrial civilizations. Dr. Linda French’s professional interests include observational studies of asteroids and comets, as well as the history of astronomy. She is currently the chair of the physics department at Illinois Wesleyan University, where she teaches and conducts research with undergraduate students. Her research centers on the Jovian Trojan asteroids, objects found at Jupiter’s distance from the sun that may be closely related to comets. Dr. French’s research, funded by the National Science Foundation, frequently takes her and her students to observatories in Chile and Arizona. She has also studied the work of 18th-century English deaf astronomer John Goodricke, who discovered several important variable stars. Dr. Jonathan P. Gardner is the chief of the Observational Cosmology Lab at NASA’s Goddard Space Flight Center and the deputy senior project scientist for the James Webb Space Telescope (JWST). He leads a group that studies the universe as a whole, from its dramatic beginnings in the Big Bank to the mysterious dark energy that will determine its future. The JWST, successor to the Hubble Space Telescope, will look backwards in time to find the first galaxies that formed after the Big Bang, to trace their evolution into galaxies like our own Milky Way, and to connect the formation of stars and planets with the history of our own solar system. 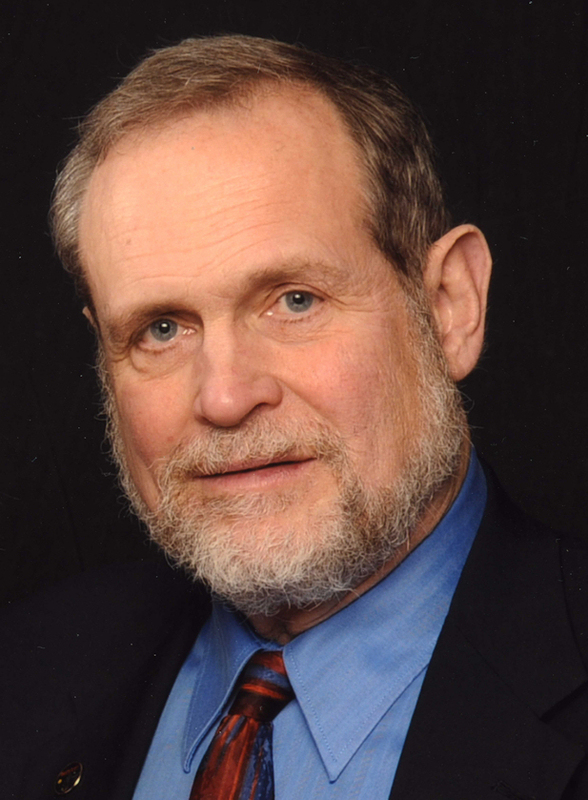 Dr. Robert D. Gehrz studied physics at the University of Minnesota, where he received his bachelor’s degree in 1967 and PhD in 1971, and is now a professor in and founding director of the Minnesota Institute for Astrophysics. He is an expert on UVOIR/Radio ground and space-based observational astrophysics, instrumentation development, and telescope construction. His primary research is on the physical properties of astrophysical grains in the interstellar, circumstellar, and solar system environments. While on the faculty at the University of Wyoming, Dr. Gehrz and J. A. Hackwell collaborated on the construction of the Wyoming Infrared Observatory. He is a member of the Science Working Group for NASA’s Spitzer Space Telescope with Facility Science responsibilities for the Cryogenic Telescope Assembly (CTA). 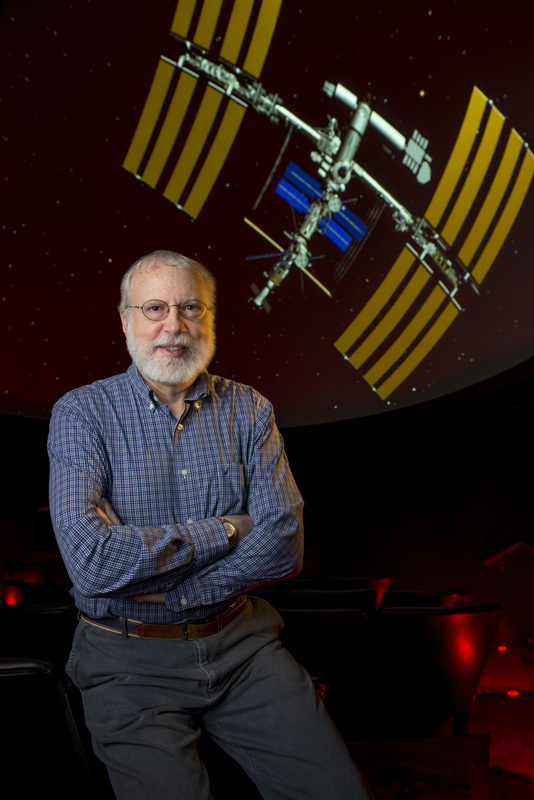 He was elected Fellow of the Explorers Club in 1979, Fellow of the American Association for the Advancement of Science in 1995, and Fellow of the American Physical Society in 2004, and served as President of the American Astronomical Society from 1998 to 2000. Dr. Shy Genel was born in Tel-Aviv, Israel, where he completed his bachelor’s degree in Physics and Electrical Engineering. He then studied galaxy formation in Munich, Germany, where he received his PhD. 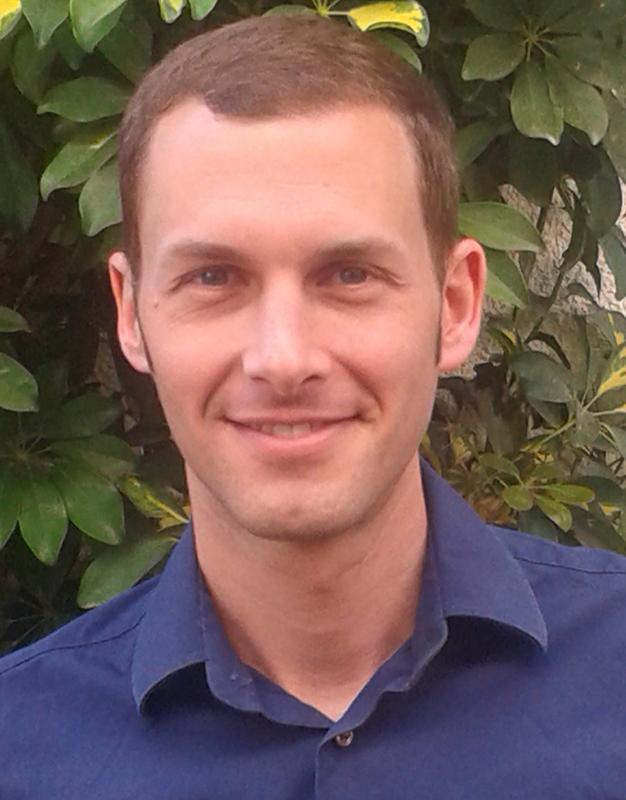 After completing his PhD, Dr. Genel spent time as a postdoctoral fellow at Harvard University and has recently started his second postdoctoral fellowship at Columbia University. His research focuses on how dark matter accumulates into massive condensations called “dark matter halos,” and how galaxies form in the center of those halos. Dr. Paul Green studied physics and music at Oberlin College in Ohio, then spent two years as a Peace Corps volunteer in Togo, West Africa, teaching physics in a village high school. He then pursued a PhD in physics at the University of Washington, Seattle, but became enchanted by astronomy instead. His research project began with a search for distant stars whose orbital speeds could be used to weigh our galaxy, but he was surprised to discover that many of them were much closer to Earth than anyone thought, discovering a new class of stars! Dr. Green still studies those, but has ventured deeply into studying the supermassive black holes called quasars in distant galaxies. Those are best found using X-rays, and for the last 18 years, he has helped manage the science program for NASA’s Chandra X-ray observatory. Dr. Theodore Gull is an astrophysicist at NASA’s Goddard Space Flight Center. He studies massive stars and their ejecta with focus on the astrophysical laboratory of the massive binary, Eta Carinae, and the Homunculus, a 10 to 40 solar mass bipolar nebular ejected in the 1840s. He has served as mission scientist for the Astro-1 shuttle mission, as deputy principal investigator of the Space Telescope Imaging Spectrograph and is principal investigator of many studies with the Hubble Space Telescope, CHANDRA, and the Very Large Telescope of the European Southern Observatory. Recently his team has demonstrated the utility of 3D print models of astrophysical objects. 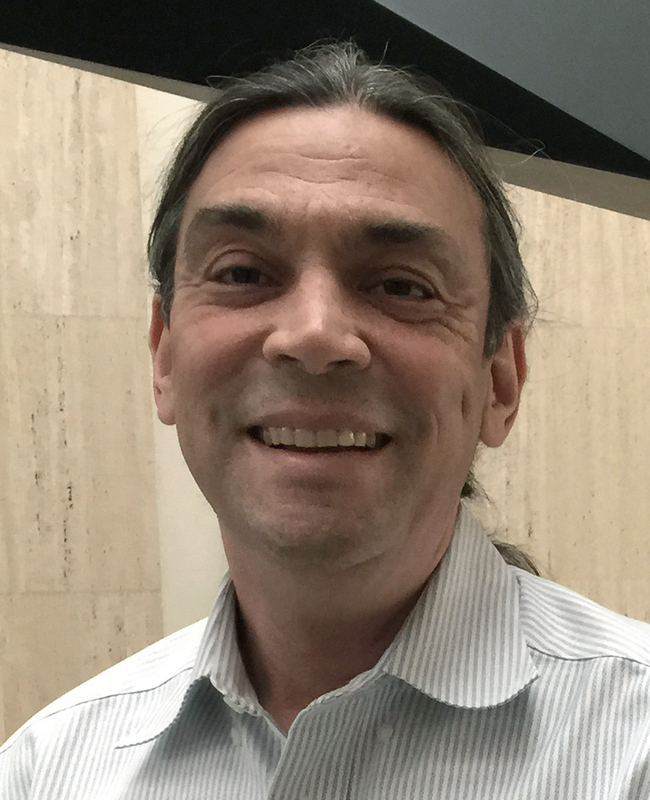 Over the past two decades, Dr. Gull has collaborated with the South Dakota School of Mines and Technology on Native American pre-college education. 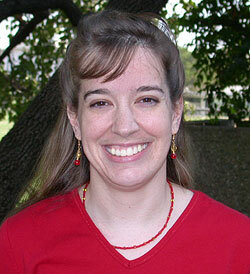 Planetary astronomer Dr. Heidi Hammel is a world authority on the planets Neptune and Uranus. She was a member of the Voyager 2 team that first spotted Neptune's Great Dark Spot, and led a Hubble team that later documented the Great Dark Spot's disappearance. In 1994 when comet Shoemaker-Levy 9 crashed into Jupiter, Dr. Hammel was the leader of the Hubble team for that event. She is now the executive vice president of the Association of Universities for Research in Astronomy (AURA), which operates Hubble and many ground-based telescopes. She is also an interdisciplinary scientist for the James Webb Space Telescope, scheduled for launch in 2018. 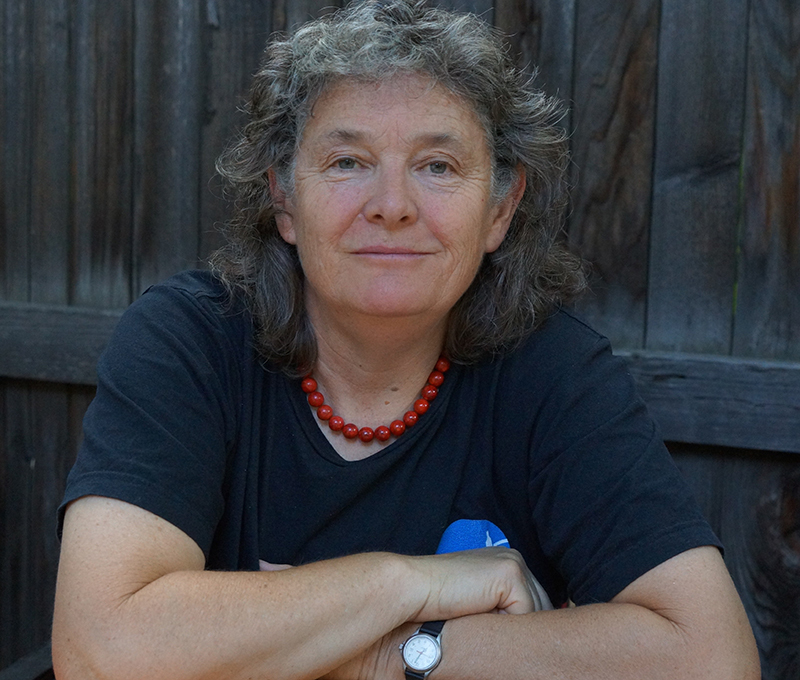 Dr. Hammel has been widely recognized for her scientific work as well as her work in public outreach, including the 2002 Sagan Medal for outstanding communication by an active planetary scientist to the general public, and the San Francisco Exploratorium's 1998 Public Understanding of Science Award. Asteroid "1981 EC20" has been renamed 3530 Hammel in her honor. Alan Harris received his PhD in Earth and Space Sciences at UCLA in 1975, and spent 28 years at the Jet Propulsion Laboratory, for some time in the tracking and navigation group and then in the Earth and Space Sciences Division, as a senior research scientist. His specialty has been small body dynamics and evolution, both orbital and rotational, of asteroids, comets, satellites, and ring particles. For more than two decades he has participated in numerous studies by NASA, NRC, and international bodies evaluating all aspects of the near-Earth object (NEO) impact hazard (impact probabilities and consequences, survey design and progress, mitigation strategies, and even social and political aspects). 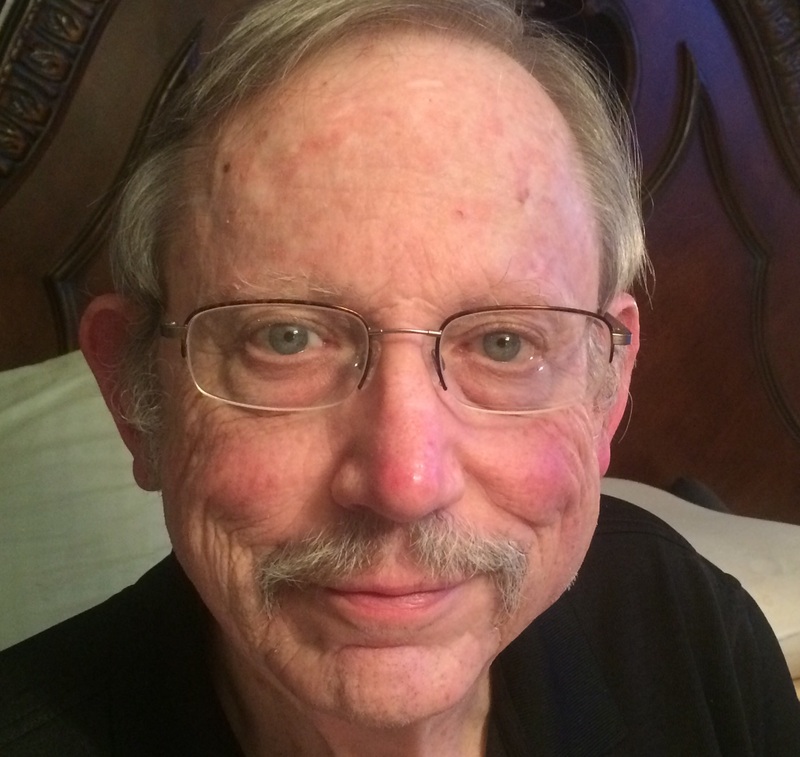 Now retired from JPL, Harris continues an active research program sponsored by NASA and NSF, and serves as a frequent consultant to NASA and JPL on the NEO Program. Dr. John Hewitt is an astrophysicist interested in energetic processes caused by stellar explosions, pulsars, and black holes in our own Milky Way and nearby galaxies. His research focuses on how “cosmic rays,” individual particles and nuclei that are accelerated to near the speed of light, are accelerated and transported around our galaxy. He also focuses on the conditions at the center of our galaxy, which hosts a high number of massive stars and the closest supermassive black hole. Dr. Hewitt has used both ground and space telescopes in his work that cover the entire electromagnetic spectrum from radio to infrared to gamma rays. Dr. Joannah Hinz grew up in Auburndale, Florida. She earned her bachelor's degree in physics at the Massachusetts Institute of Technology with a minor in English literature. She received her PhD in astronomy from the University of Arizona. She studies the dust and stars in nearby galaxies using telescopes both in space and on the ground. She is currently an assistant staff scientist with the MMT Observatory near Tucson, Arizona. Topics: 4000 Years of Women in Science and Technology; Why do Spiral Galaxies Spiral? ; Black Holes Can Dance; What Do Van Gogh and Astronomy Have in Common? Dr. Sethanne Howard is an astronomer with 40 years of experience in the field. She has worked in almost all wavelength ranges, used many telescopes (both ground and space based), and worked at many observatories. She retired from the US Naval Observatory where she was chief of the Nautical Almanac Office. Her interests are in the interactions of galaxies. Her hobby is the history of women in science and technology. She was the first woman to receive a degree in physics from the University of California, Davis. She returned to graduate school at age 42 to complete her PhD. 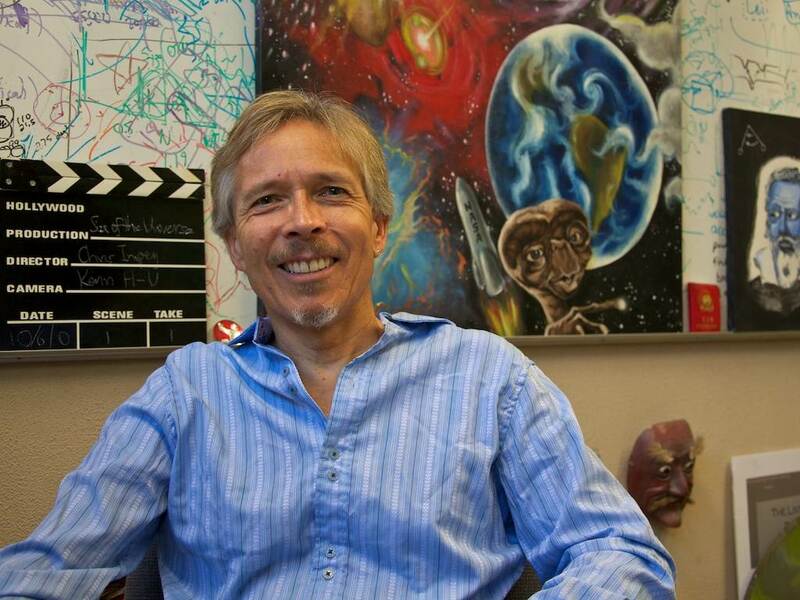 Dr. Chris Impey is a University Distinguished Professor of Astronomy and associate dean of the College of Science at the University of Arizona. He has over 180 refereed publications on observational cosmology, galaxies, and quasars, and his research has been supported by $20 million in NASA and National Science Foundation (NSF) grants. He has received 11 teaching awards, and taught two online classes with over 70,000 enrolled. Dr. Impey is a past Vice President of the American Astronomical Society and has been an NSF Distinguished Teaching Scholar, the Carnegie Council’s Arizona Professor of the Year, and most recently a Howard Hughes Medical Institute Professor. 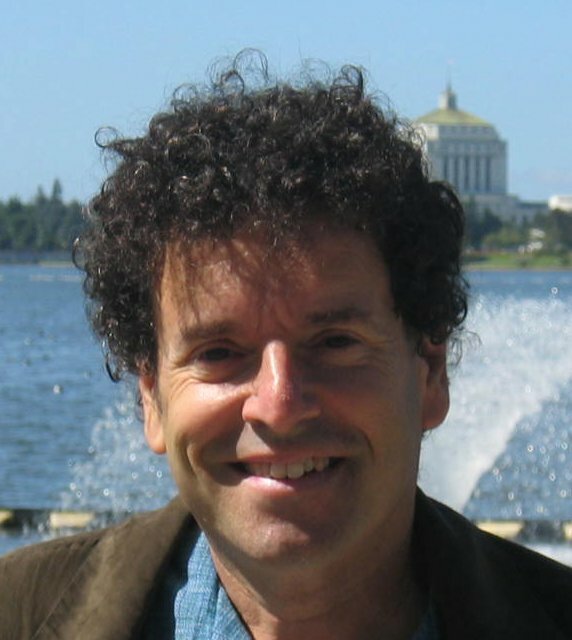 He has written over 40 popular articles on cosmology and astrobiology, two introductory textbooks, a novel called Shadow World, and seven popular science books: The Living Cosmos, How It Ends, Talking About Life, How It Began, Dreams of Other Worlds, Humble Before the Void, and Beyond: The Future of Space Travel. 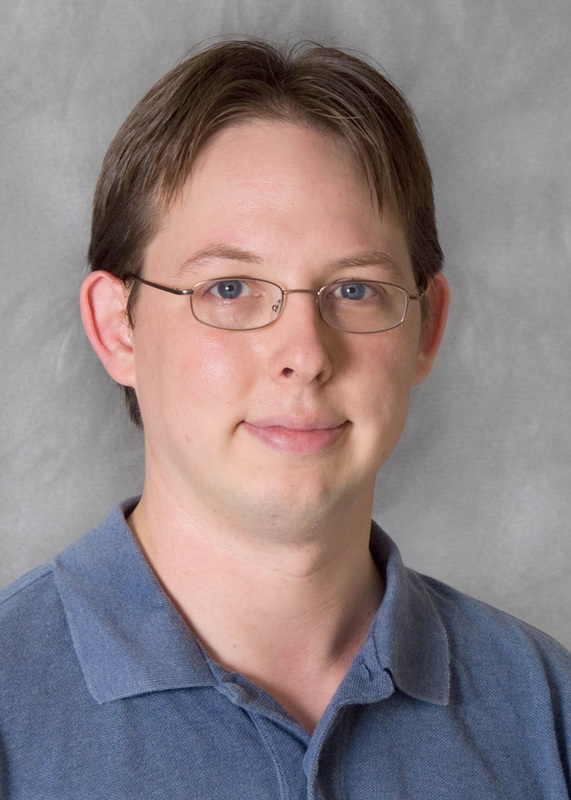 Dr. Brian Jackson is an assistant professor of physics at Boise State University with research focused on orbital evolution and transit and eclipse observations of extrasolar planets — planets that orbit stars other than the Sun. He also has an active research program in planetary science fieldwork, focused on in-situ instrumentation. Dr. Jackson was most recently a postdoctoral fellow at the Carnegie Department of Terrestrial Magnetism in Washington, DC, and before that, a NASA postdoctoral fellow at Goddard Space Flight Center in Greenbelt, Maryland. He received in PhD in Planetary Science from the University of Arizona’s Lunar and Planetary Laboratory in 2009 and his BS in Physics from Georgia Tech in 2004. He lives in Boise, Idaho with his wife, Maki, and daughter, Alice. 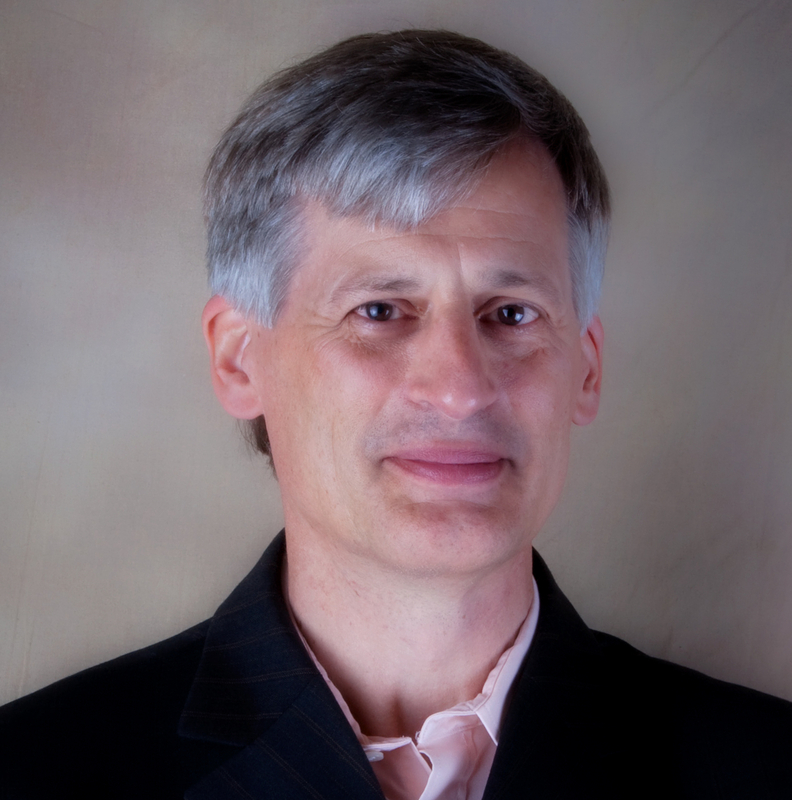 Dr. Robert Jedicke has had professional careers in football, particle physics, astronomy, and software engineering. He received his PhD in experimental particle physics from the University of Toronto, Canada. After a brief stint in the professional Canadian Football league with the B.C. Lions in Vancouver, he held postdoctoral positions at the Fermi National Accelerator Laboratory in Batavia, Illinois, and at the University of Arizona’s Lunar & Planetary Laboratory where he worked on the Spacewatch near-Earth asteroid survey. He spent more than five years at Veeco Corporation in Tucson, Arizona, developing image analysis software for interferometers before accepting a faculty position at the University of Hawaii’s Institute for Astronomy. He was the development manager of their Moving Object Processing System for the Pan-STARRS telescope on Maui that is now the world’s leading discovery system for asteroids and comets. He has discovered two comets and an asteroid is named after his family. 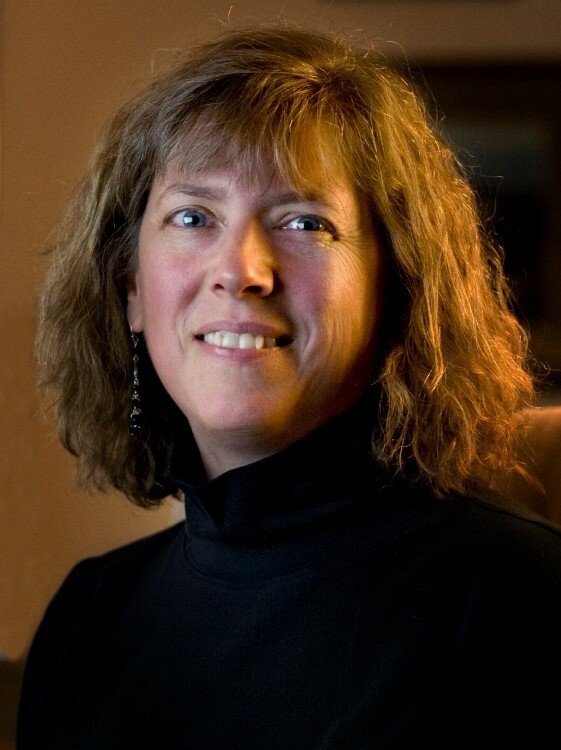 During her career, Dr. Christine Jones has worked on a variety of research topics, ranging from the analysis of meteorites to studies of binary star systems to elliptical galaxies and clusters of galaxies. Her current research uses Chandra X-ray observations of elliptical galaxies to measure their hot gas halos and to determine the impact from outbursts of supermassive black holes at their centers on the surrounding gas. She also studies the large scale structure and properties of clusters of galaxies, the most massive gravitationally bound structures in the universe, and how clusters continue to grow through the mergers of subclusters. Dr. Jones received her undergraduate and graduate degrees in astronomy from Harvard University and was a Harvard Junior Fellow before joining the Smithsonian Astrophysical Observatory where she is a senior astrophysicist. 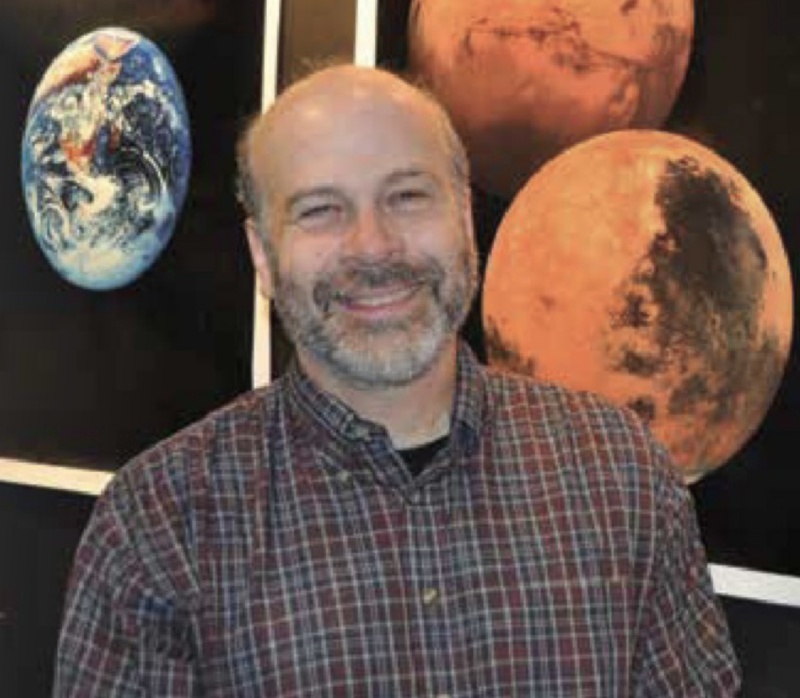 In 2015, Dr. Jones was elected President of the American Astronomical Society. Dr. Philip Kaaret’s main interest is understanding the intense gravitational fields surrounding black holes and neutron stars and the dynamics of the accretion of matter onto these objects. He builds instrumentation for the X-ray and gamma-ray bands and conducts observations at X-ray, gamma-ray, optical, and radio wavelengths of objects in our Milky Way Galaxy and in relatively nearby galaxies. His current work concerns the highly luminous X-ray sources in nearby galaxies which have been interpreted as being intermediate-mass or "medium-sized" black holes and the effect of X-ray binaries on the early universe. 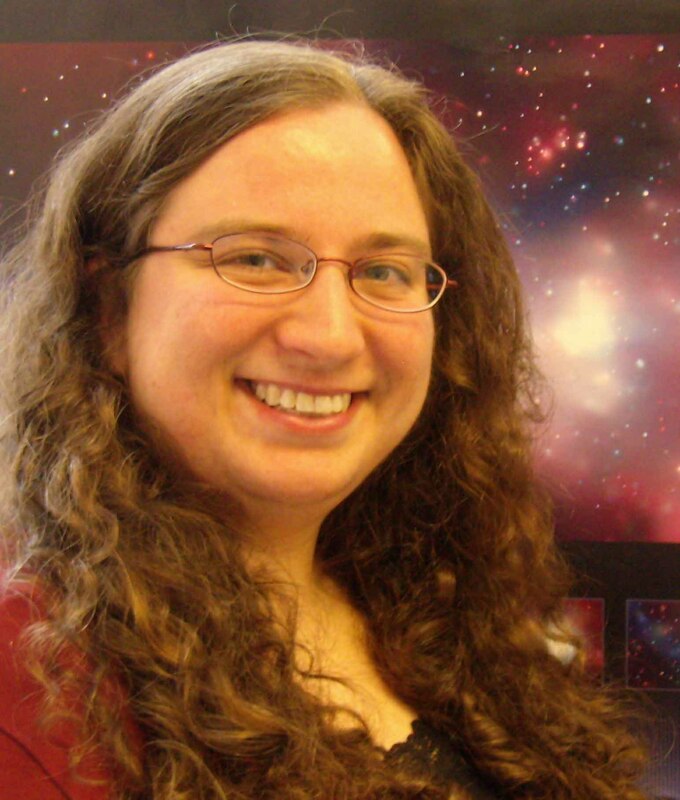 Dr. Julia Kamenetzky is currently a National Science Foundation Astronomy & Astrophysics postdoctoral fellow at the University of Arizona, where she is using radio and submillimeter telescopes to study the emission from molecules in nearby star-forming galaxies. By modeling the emission, Dr. Kamenetzky and her colleagues can try to estimate what processes are influencing the gas spread throughout the galaxies and how that affects star formation. She has also used similar tools to study molecules that were formed in the debris left behind form the explosion of Supernova 1987A. 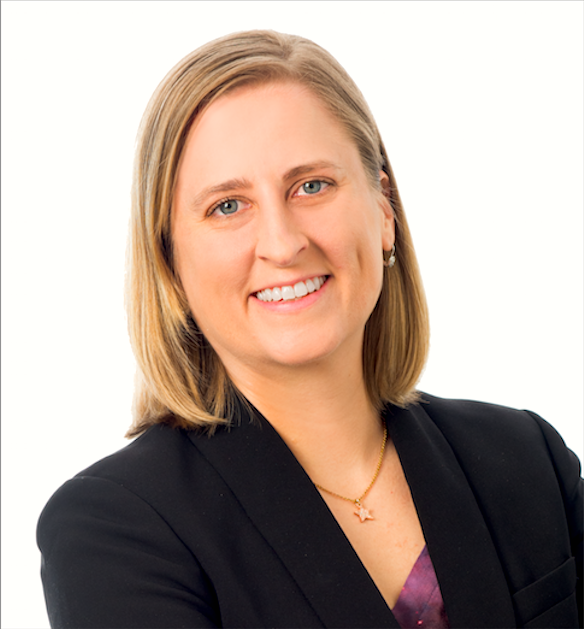 Her other professional interests include science policy, inquiry-based science education, and tackling the barriers that prevent many people from understanding, appreciating, or pursuing science as a career. After earning a bachelor’s degree in physics and teaching 9th grade physical science for two years in a public school in Rocky Mount, North Carolina, Dr. Sheila Kannappan decided to pursue a childhood passion for astronomy and share it through education and outreach. 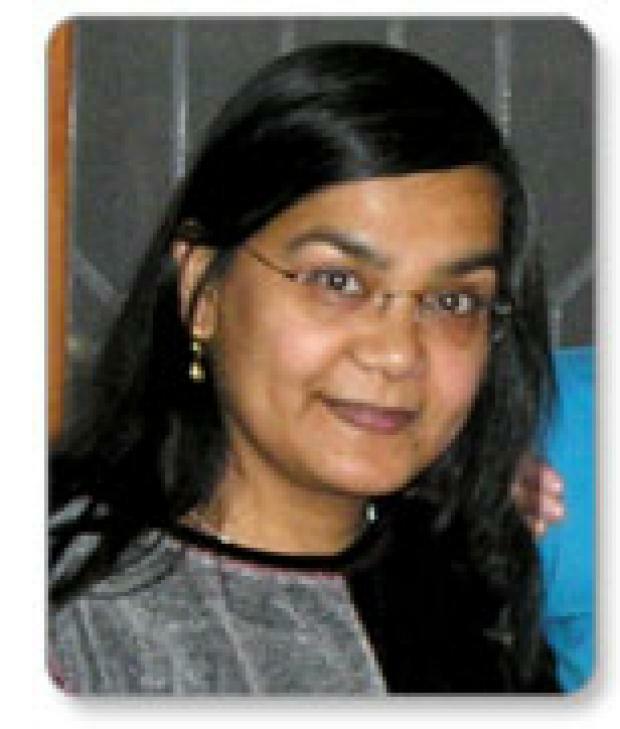 She earned her PhD in astrophysics (and along the way an MA in the history of science) from Harvard University and did postdoctoral work in Texas before returning to North Carolina in 2007 as a professor in the Physics & Astronomy Department at the University of North Carolina, Chapel Hill. Her research focuses on the evolution of galaxies, with emphasis on the most elusive components of cosmic structure, invisible gas and dark matter. She is active in education and outreach on all levels, including founding and directing the Computational Astronomy & Physics Research Experiences for Undergraduates (CAP REU) program, which provides paid research experiences to students from all over the country, with emphasis on underrepresented groups. Dr. Steven Kawaler is a professor of Physics and Astronomy at Iowa State University. He received his PhD at the University of Texas at Austin, and joined the ISU faculty in 1989. His research focuses on studies of the lives (and deaths) of stars, often exploiting subtle variation in the brightness of stars as seismic probes of their interiors. Much of his research involves the space-based planet-finding missions, like Kepler, which provide exquisite data on stars (some of which host extrasolar planetary systems). He has served as a Councilor of the American Astronomical Society, serves as a Lead Editor of the Astrophysical Journal, and is a Fellow of the American Association for the Advancement of Science. During down time he can often be found pondering the mysteries of the game of baseball (from the stands more than the field, unfortunately) or on a bicycle riding the quiet roads of rural Iowa. 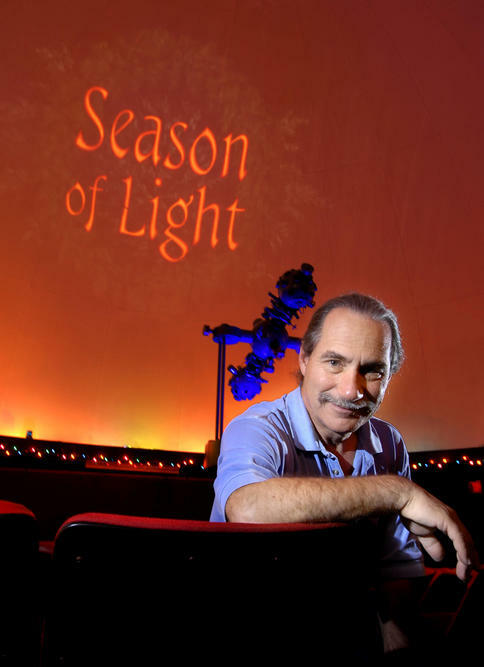 Dr. Jerry LaSala is a professor, chair of physics, and director of the Southworth Planetarium at the University of Southern Maine. He also teaches astronomy and astrophysics every summer at the Phillips Exeter Academy Summer School to high school students from around the world. His current interests are primarily in the area of astronomy education and public outreach, though he maintain research interests in spectral classification, especially automated classification, and the study of X-ray binary stars. On a 2011 sabbatical, Dr. LaSala began a research collaboration at Oxford University on active galactic nuclei. In addition, he is especially interested in the history of astronomy and the role of women astronomers in the 19th and early 20th centuries. He enjoys giving lectures for the general public and has done many in Maine as well as at Oxford University and at the Winchester Science Centre in England. 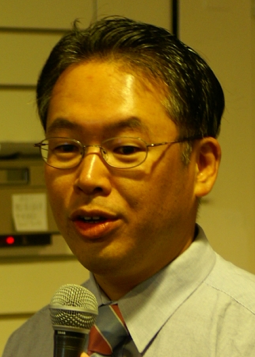 Dr. Hyun-chul Lee joined the University of Texas – Pan American faculty in fall 2009. He came to UTPA after serving as a NASA Hubble Space Telescope research scientist at Washington State University for five years. Dr. Lee has been involved in numerous research projects that relate to stellar population and galaxy evolution. Ultimately, his research on the element-by-element modified and multi-wavelength band stellar population modeling and galaxy evolution experiments will help develop clearer understanding of local and distant universe. 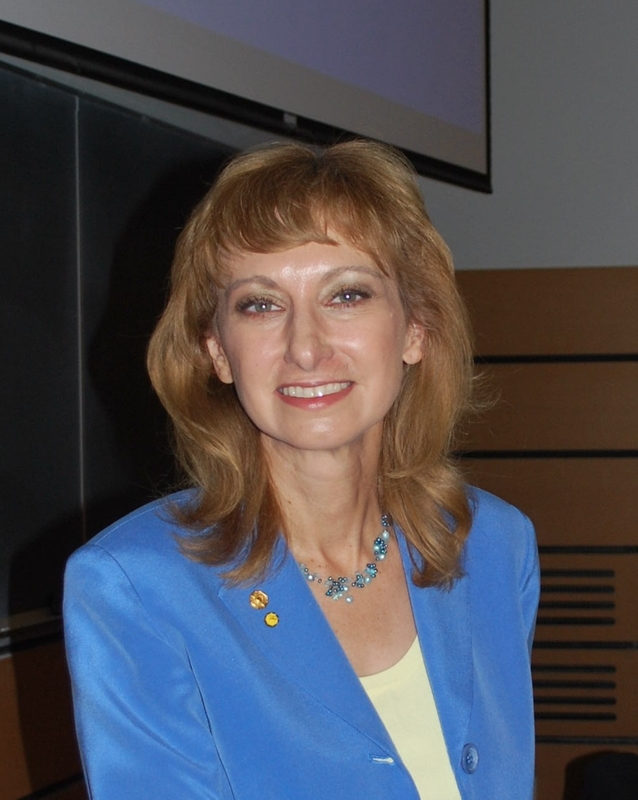 Dr. Rosaly Lopes is a senior research scientist and manager of Planetary Science at NASA's Jet Propulsion Laboratory. She is an expert in planetary geology, particularly on volcanoes on Earth and other planets and moons. She worked on the Galileo mission investigating the volcanoes on Jupiter's moon Io and currently works on the Cassini mission studying the geology of Saturn's moon Titan. She grew up in Brazil and got her bachelor's degree in Astronomy and PhD in Planetary Geology from University College London in England. She has won many awards, including the Carl Sagan Medal from the American Astronomical Society's Division for Planetary Sciences and the NASA Exceptional Service Medal. She has published extensively, including over 100 research papers and seven books, and is a Fellow of the American Association for the Advancement of Science (AAAS) and the Geological Society of America (GSA). 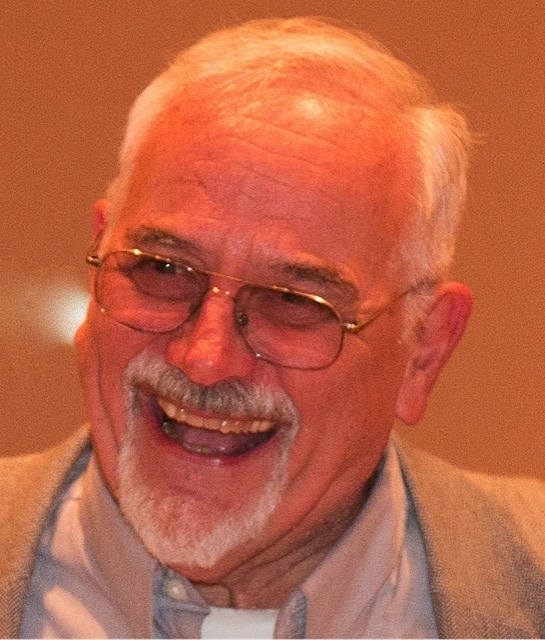 Dr. Laurence Marschall, now emeritus, was active teaching faculty at Gettysburg College for 43 years, from 1971 to 2014, where he taught courses in astronomy, physics, and science writing. He has been a visiting Professor at Boston University (1987 and 1995), an Erskine Fellow at the University of Canterbury, Christchurch, New Zealand (2002 and 2014), and a visiting scientist at the Harvard-Smithsonian Center for Astrophysics (1986, 1994, and 2001) and Yale University (1980). In 1998 he received a Distinguished Teaching Award from Gettysburg College, in 2005 the Education Prize from the American Astronomical Society for his role in fostering undergraduate and public education in astronomy nationwide, and in 2014 the Richard H. Emmons Award from the Astronomical Society of the Pacific for outstanding achievement in the teaching of college-level introductory astronomy for non-science majors. Dr. Marschall's areas of research include observational studies of binary stars, very young stars, and supernovas and recently, asteroids. 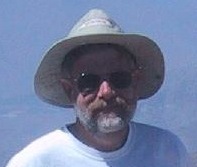 He is also known among astronomers for his work in astronomy education, both in promoting the use of electronic cameras for undergraduate research at small observatories, and in directing Project CLEA (Contemporary Laboratory Experiences in Astronomy), which develops innovative computer exercises in astronomy. Besides his teaching and research, Dr. Marschall is an active science popularizer. He writes a regular column on science books of note for Natural History magazine and was a regular contributing editor to the award-winning magazine The Sciences for 17 years. He was editor of a quarterly magazine for amateur astronomers, CCD Astronomy, and is a contributing editor of Smithsonian Air and Space. He also contributes annual astronomy updates to The World Book Encyclopedia. His book The Supernova Story, written for the general reader, has been widely praised for its readability, and he has written two books with Stephen P. Maran, Galileo’s New Universe and Pluto Confidential. He currently serves as Deputy Press Officer of the American Astronomical Society. 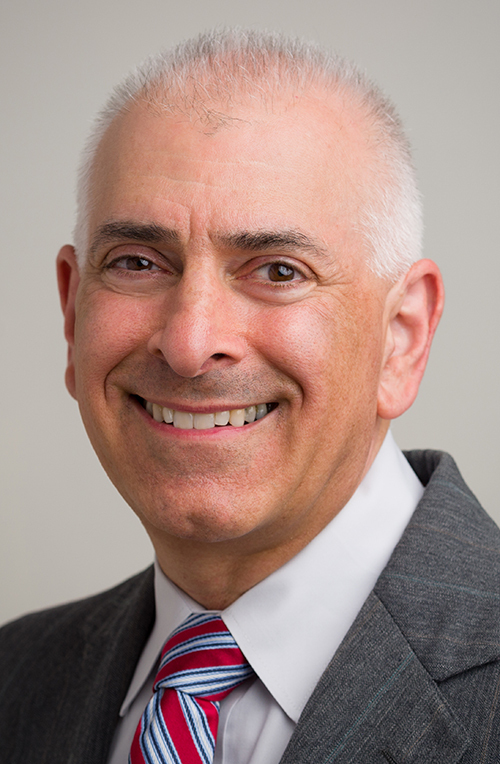 In addition to over 40 articles in professional journals, Dr. Marschall has written dozens of popular science articles and reviews for publications such as Sky and Telescope, Astronomy, Natural History, Discover, Harper's, Newsday, and The New York Times Book Review. 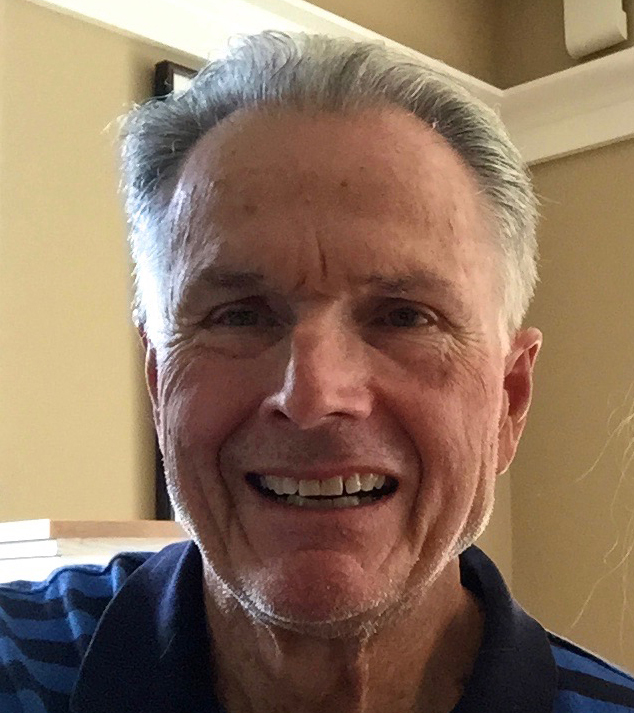 Dr. Richard McCray is George Gamow Distinguished Professor, Emeritus, at the University of Colorado, Boulder and visiting scholar at the University of California, Berkeley. He is a member of the National Academy of Sciences and the 2002 recipient of the National Science Foundation Director's Award for Distinguished Teaching Scholar. His primary field of research is the study of supernovae, particularly the great supernova SN1987A, through both theoretical modeling and observations using telescopes spanning the entire electromagnetic spectrum. 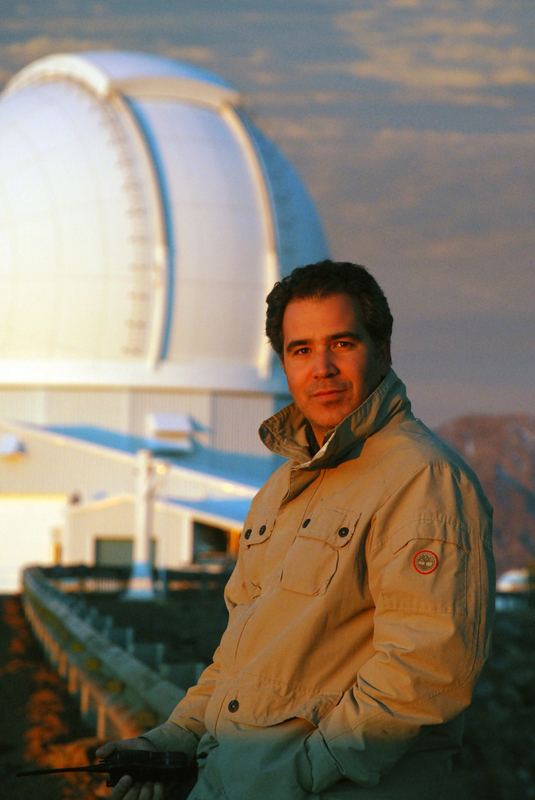 Dr. Felipe Menanteau's research interests focus on Observational Cosmology. He uses clusters of galaxies discovered in Sunyaev-Zel’dovich (SZ) surveys as signposts to probe the growth of structure in the universe. He led the optical/infrared follow-up campaign for the first generation of SZ surveys from the Atacama Cosmology Telescope (ACT). Dr. Menanteau also led the discovery of "El Gordo," the most massive cluster known at high redshift. 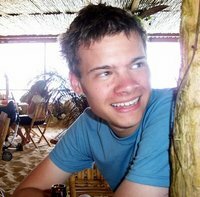 His research also centers on large optical surveys and algorithms for data mining. 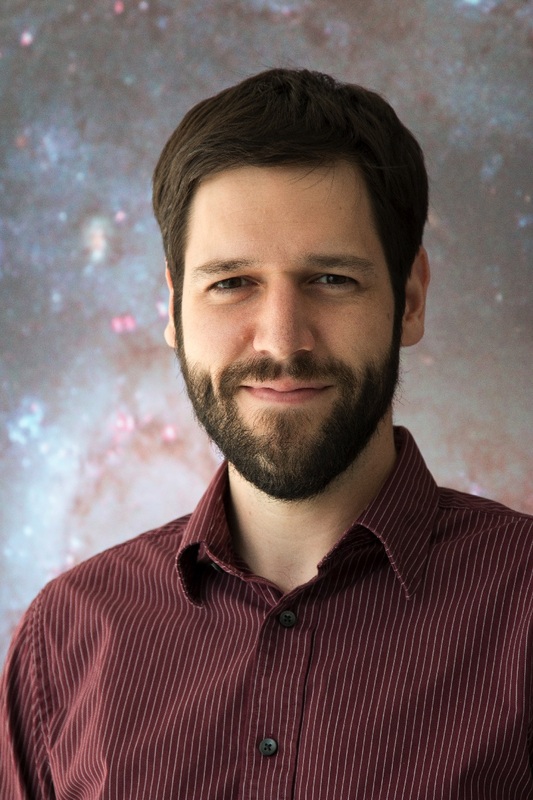 He led the analysis for the Blanco Cosmology Survey, and is currently working on integrating image analysis algorithms for the Dark Energy Suvey (DES) Data Managment at NCSA. 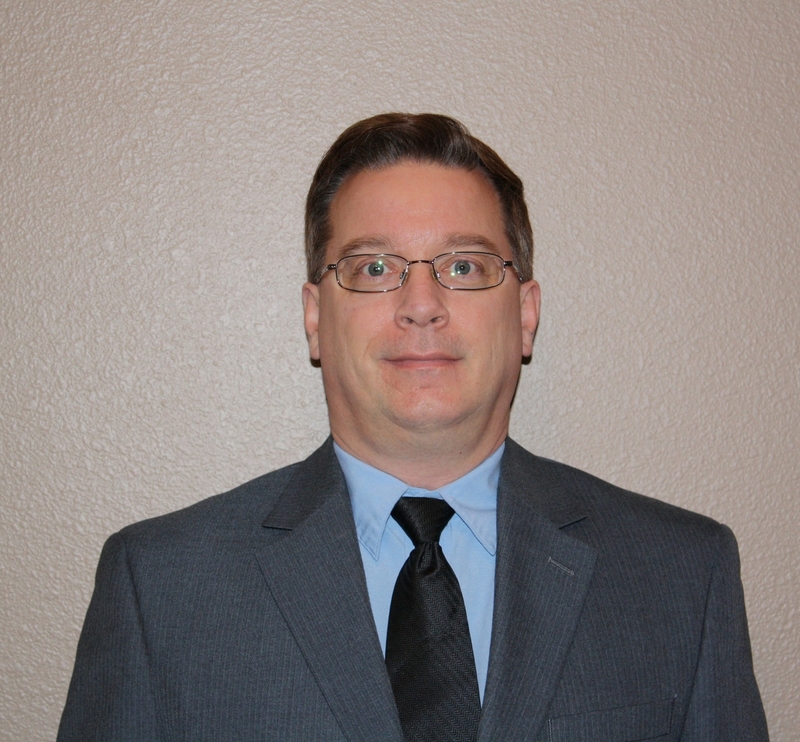 Dr. Patrick Miller is a professor of Mathematics & Astronomy at Hardin-Simmons University in Abilene, Texas. He has taught university mathematics since 1973 and astronomy since 1992. Dr. Miller is also a guest researcher at the Lawrence Berkeley National Laboratory and a PhD advisor in Astronomy at the University of Southern Queensland in Australia. In 2006 he founded the International Astronomical Search Collaboration (IASC), in which students make original solar system discoveries (MBAs, NEOs, TNOs, and comets). Students from 500 schools in more than 65 countries participate at no cost. The collaboration consists of Pan-STARRS (IfA, University of Hawaii), Catalina Sky Survey (University of Arizona), and the Las Cumbras Observatory (SAAO). To date, students have made 950 MBA discoveries, and 33 are numbered and named by the student discoverers. 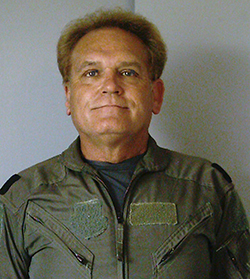 Dr. Terry D. Oswalt is chair of the Physical Sciences Department at the Daytona Beach campus of Embry-Riddle Aeronautical University (ERAU). He earned his PhD in Astronomy at The Ohio State University specializing in studies of binary star systems, stellar evolution, minor planets, and comets. During his career Oswalt has taught a wide variety of physics and astronomy courses and served in several administrative posts, while continuing his primary research interest in studies of collapsed stars called white dwarfs. Oswalt is the founding chairman of the Southeast Association for Research in Astronomy (SARA), a consortium of 13 institutions lead by ERAU that operates remote-access telescopes at Kitt Peak National Observatory near Tucson, Arizona, Cerro Tololo Interamerican Observatory in Chile, and Roque de los Muchachos in the Canary Islands. He has also been director of the SARA summer internship program, which brings undergraduate students from around the US to do research at the SARA facility at Kitt Peak each summer. In recognition of his astronomical research and work in founding the SARA consortium, Dr. Oswalt was named the 2010 Florida Academy of Science Medalist. Oswalt has been a Harlow Shapley lecturer for the American Astronomical Society for over 20 years and is an elected councilor for the Physics and Astronomy Division of the Council on Undergraduate Research. He has also been a program officer for Stellar Astronomy & Astrophysics at the National Science Foundation. 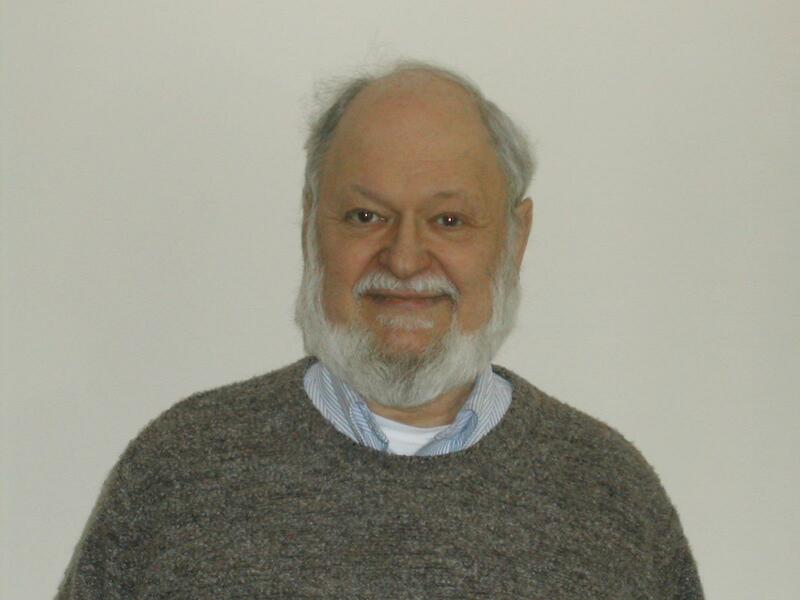 Dr. Oswalt is author or co-author of over 200 scientific articles and has edited nine astronomy books. He recently completed editing a six-volume series of astronomy reference books, Planets, Stars & Stellar Systems, which was released as part of the Springer Major Reference Works series. Dr. Robert Pappalardo is project scientist for NASA’s Europa Mission at the Jet Propulsion Laboratory (JPL) of the California Institute of Technology in Pasadena, California. He has served as the project scientist for the Cassini Equinox (first extended) Mission at Saturn, and he is a recipient of NASA’s Exceptional Service Medal. He has served as a member of the National Research Council’s Space Studies Board and co-chair of its Committee on the Origins and Evolution of Life. Dr. Pappalardo’s research focuses on processes that have shaped the icy satellites of the outer solar system, especially Europa and the role of its probable subsurface ocean. In 1986 he received his BA in Geological Sciences from Cornell University, and in 1994 he obtained his PhD in Geology from Arizona State University. From 2001-2006, he was an assistant professor of planetary sciences in the Astrophysical and Planetary Sciences Department of the University of Colorado at Boulder, and he joined JPL in 2006. Along the way, he has worked with various science museums and organizations to bring the excitement of astronomy and planetary exploration to the public. Dr. Alexei Pevtsov is an astronomer at the National Solar Observatory (NSO) studying topology and evolution of solar magnetic fields and their role in solar activity. He is the program scientist for the Solar Atmosphere section of the NSO’s Integrated Synoptic Program. In the past, Dr. Pevtsov served as the program scientist at NASA Headquarters, where he oversaw development and operation of several NASA satellites including Hinode, SDO, SOHO, TRACE, and RHESSI. 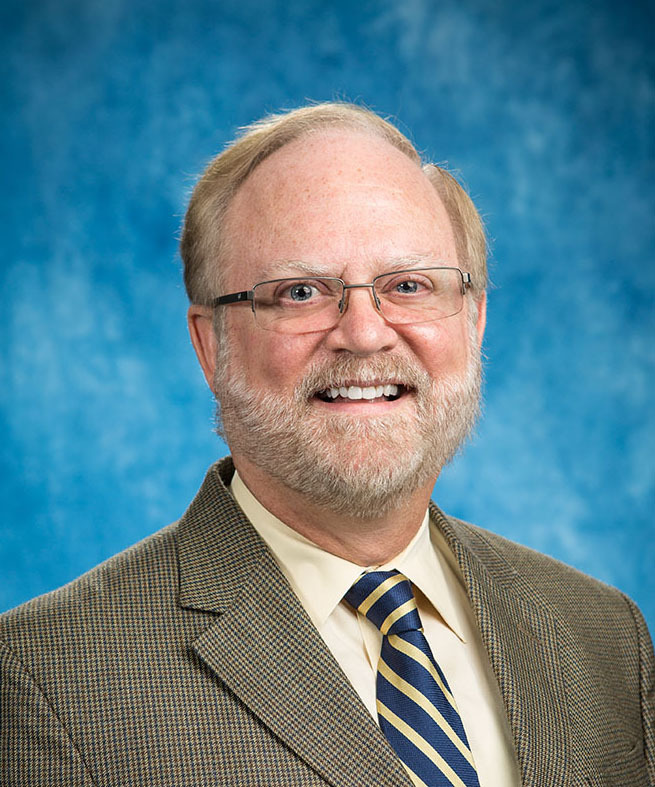 He also served as the NSF site director for NSF/NSO Research Experience for Undergraduates (REU) and Research Experience for Teachers (RET) Programs at NSO. Dr. Pevtsov received his PhD in Physics and Mathematics from the Institute of Solar-Terrestrial Physics, Russia, in June 1992. He is the author and co-author of about 150 scientific papers. He is a member of the American Astronomical Society (AAS), the American Geophysical Union (AGU), the International Astronomical Union (IAU), and the Committee on Space Research (COSPAR). 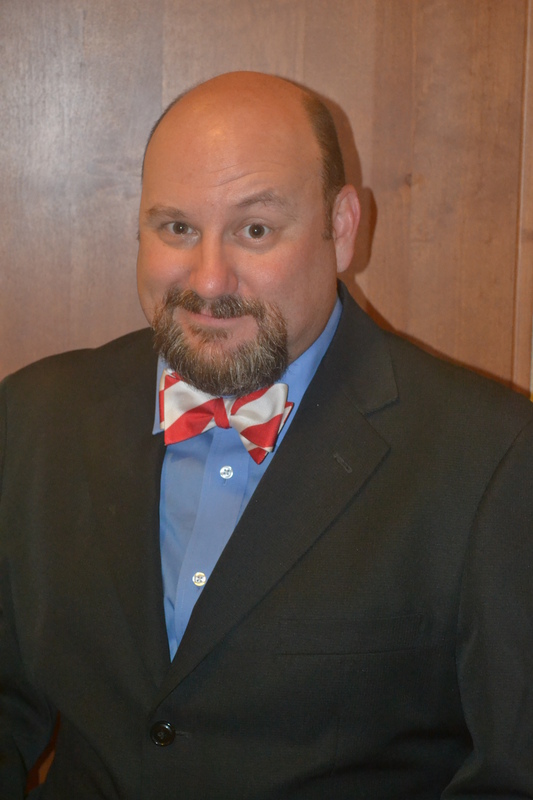 Dr. W. Lee Powell Jr. is associate dean of academic affairs at Collin College in McKinney, Texas. He was previously on the faculty at the University of Nebraska, Kearney, a regional state university like school he attended for his BS and MS degrees. He believes that these schools have an important role to play. Dr. Powell has involved undergraduate students in his research throughout his career. He is interested in a variety of research topics relating to stellar astrophysics and the structure of the Milky Way. He is experienced in studying variable stars, star clusters, and tidal streams, particularly with undergraduate students. Dr. Bharat Ratra is a professor of physics at Kansas State University, working in the areas of cosmology and astroparticle physics. He researches the structure and evolution of the universe. Two of his current principal interests are developing models for the large-scale matter and radiation distributions in the universe and testing these models by comparing predictions to observational data. In 1988 Dr. Ratra and Jim Peebles proposed the first dynamical dark energy model. Dark energy is the leading candidate for the mechanism that is responsible for causing cosmological expansion to accelerate. The discovery that cosmological expansion is accelerating is one of the most significant discoveries of the last quarter century. Dr. Luisa Rebull always wanted to be an astronomer. She “fell off the wagon” for a long time in elementary school because she believed that “girls can’t do math.” It took her until college(!) to get over that mentality. She went to the College of William and Mary in Virginia for her undergraduate degree (and still remembers when a Shapley Lecturer came to visit), and to the University of Chicago for graduate school. Dr. Rebull studies how stars like our Sun form, with an eye towards understanding how planets form. She uses telescopes on the ground and in space, and uses wavelengths from X-rays to infrared, but has most recently focused on infrared. She really enjoys sharing what she does with the general public, and feels strongly that since the taxpayers help pay her salary, they deserve to find out what she does in terms they can understand. Dr. Rebull also runs a program called NITARP that partners small groups of (mostly) high school educators with a research astronomer for a year-long research project. Dr. Emily Rice is an assistant professor in the Department of Engineering Science & Physics at the College of Staten Island (City University of New York), faculty in Physics at the CUNY Graduate Center, member of CUNY Astro, and resident research associate in the Department of Astrophysics at the American Museum of Natural History. She is co-PI of the Brown Dwarfs in New York City (BDNYC) research group, focusing on studies of low-mass stars, brown dwarfs, and directly-imaged exoplanets. She communicates astronomy to the public as co-founder of the STARtorialist astronomy fashion blog, coordinator of Astronomy on Tap public outreach events being organized in 20+ cities around the world, and a host of the StarTalk All-Stars podcast series. 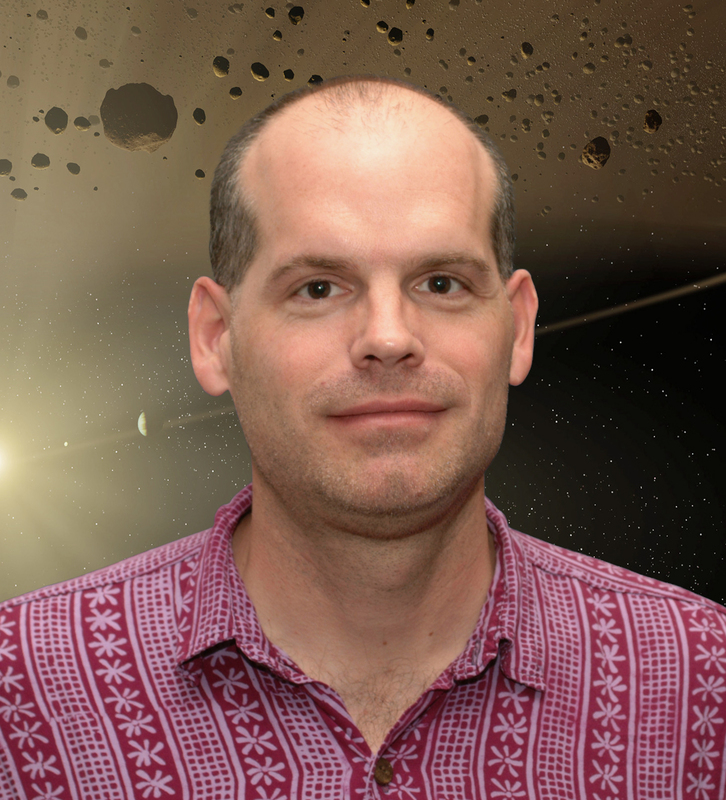 Dr. Peter Roming is a staff scientist in the Department of Space Science at the Southwest Research Institute (SwRI) in San Antonio, Texas, and an adjunct professor at the University of Texas, San Antonio. His research interests fall into three main categories: space- and ground-based astronomical instrumentation, the death of massive stars (i.e. gamma-ray bursts and core collapse supernovae), and observational cosmology. He has been the principal investigator for a number of space instruments and mission concepts, including the Swift Ultra-Violet/Optical Telescope (UVOT), the Joint Astrophysics Nascent Universe Satellite (JANUS), and the Sub-Arcsecond Resolution Ultraviolet eXplorer (SARUX). These missions and instruments are primarily focused on understanding the death of massive stars. Prior to SwRI, Dr. Roming was on the research and graduate faculty of the Astronomy & Astrophysics Department at Penn State University. 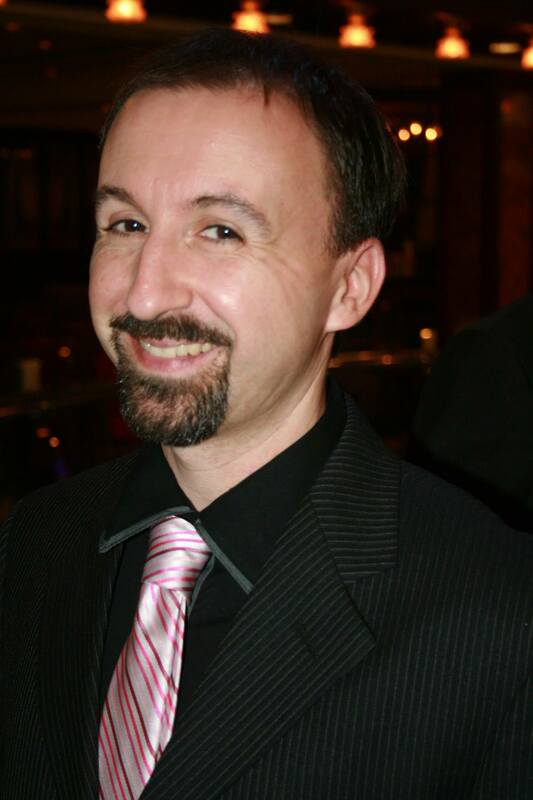 Dr. Eric M. Schlegel has carried out research on cataclysmic variables, supernovae, spiral galaxies, and X-ray binaries in the optical, ultraviolet, X-ray, and gamma-ray bands, authoring over 300 papers. He is currently the Vaughan Family Professor of Physics and Astronomy at the University of Texas, San Antonio. Previously, he worked at the Smithsonian Astrophysical Observatory as part of the Chandra X-ray Observatory science team, spending five years as data quality team lead; at NASA's Goddard Space Flight Center working on the ROSAT and Rossi X-ray Timing Explorer teams; and as a postdoctoral researcher at Harvard College Observatory and in the Department of Astronomy at Indiana University. He authored the well-received popular book on X-ray astronomy entitled The Restless Universe: Understanding X-ray Astronomy in the Age of Chandra and Newton (Oxford University Press, 2002). 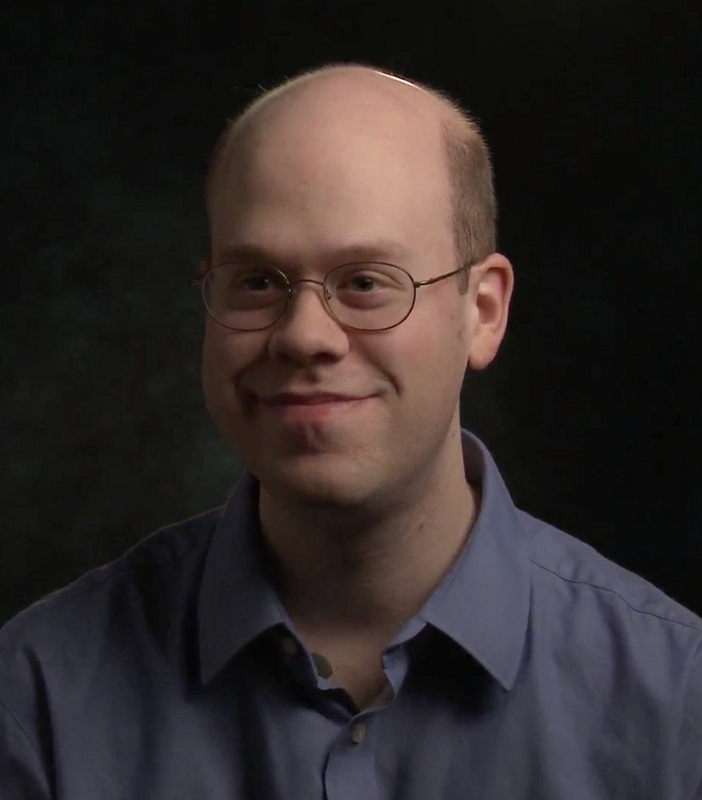 Dr. Mark Slovak is an optical/UV astronomer specializing in high resolution spectroscopy. His interests include end states of stellar evolution, such as white dwarfs, neutron stars, and black holes that form from cataclysmic binary star systems like dwarf novae, novae, symbiotic novae, and supernovae. Slovak also pursues precise radial velocity measurements, having constructed with his colleagues a second generation radial velocity spectrometer used in a massive study of Cepheid and RR Lyrae variables with simultaneous photometry to update the period-luminosity relation and discover binary Cepheids. 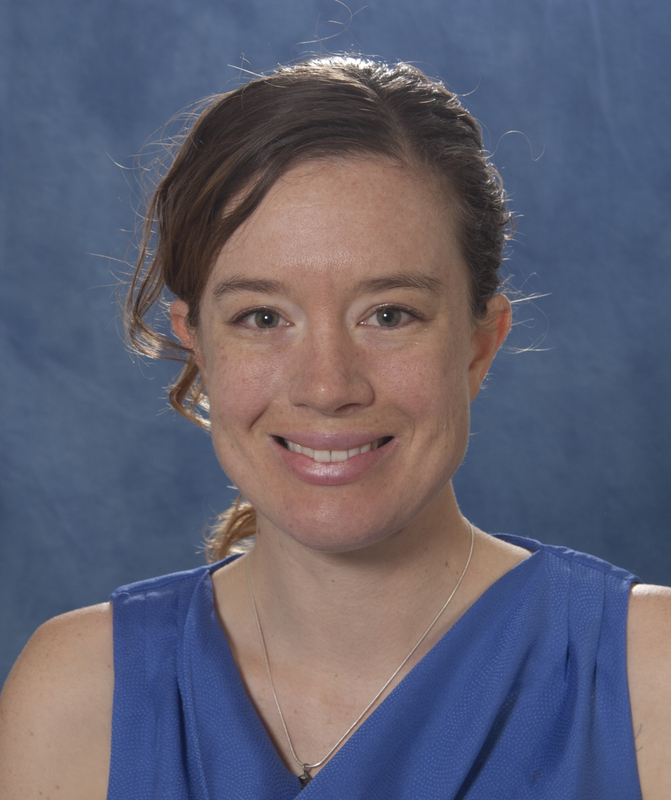 Alessondra “Sondy” Springmann is a planetary astronomer working for the OSIRIS-REx asteroid sample return mission as a graduate researcher at the University of Arizona Lunar and Planetary Laboratory. She spent two years at Arecibo Observatory in Puerto Rico conducting near-Earth asteroids observations with the megawatt planetary radar system on the 305-meter (1000-foot) William E. Gordon radio telescope. Her research interests include binary asteroids and asteroid materials. Springmann received her MSc from MIT in Earth & Planetary Sciences and a BA from Wellesley College in Astrophysics; in between she worked with MIT programs in Jerusalem, Tokyo, and Accra. In her spare time she hikes, SCUBA dives, herds cats, writes about science, and races sailboats. Dr. Steven Stahler is an astrophysicist at the University of California, Berkeley. Raised in Maryland, he attended graduate school at Berkeley in physics. He was a professor at MIT before returning to the Bay Area in 1992. His research centers on the problem of star formation, which he has attacked from many different perspectives. He is the author, along with Francesco Palla, of The Formation of Stars (Wiley, 2004), the first comprehensive text in this field. Steve especially enjoys the esthetic aspect of his research, which he tries to convey in his public talks and articles. Not coincidentally, he is also an accomplished artist. For more information, and a sampling of recent sketches, see astro.berkeley.edu/~stahler. 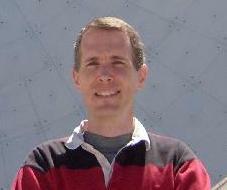 Dr. Grant Tremblay is an observational astrophysicist and a NASA Einstein Fellow at Yale University. He was previously a fellow at the European Southern Observatory (ESO) Headquarters near Munich, and an astronomer at ESO's Very Large Telescope in Chile. His PhD in Astrophysics is from the Rochester Institute of Technology, and he was previously at the Space Telescope Science Institute, the Johns Hopkins University, and the University of Rochester. Grant studies how supermassive black holes can inject enormous amounts of energy into their surrounding environments, driving the evolution of their host galaxy. Dr. Saeqa Vrtilek is a senior astrophysicist at the Harvard-Smithsonian Center for Astrophysics. She has an undergraduate degree in physics from MIT and a PhD in Astronomy from Columbia University. Her areas of interest include the physics of accretion disks, multiwavelength studies of X-ray binaries, astrostatistics, science education, and public outreach. 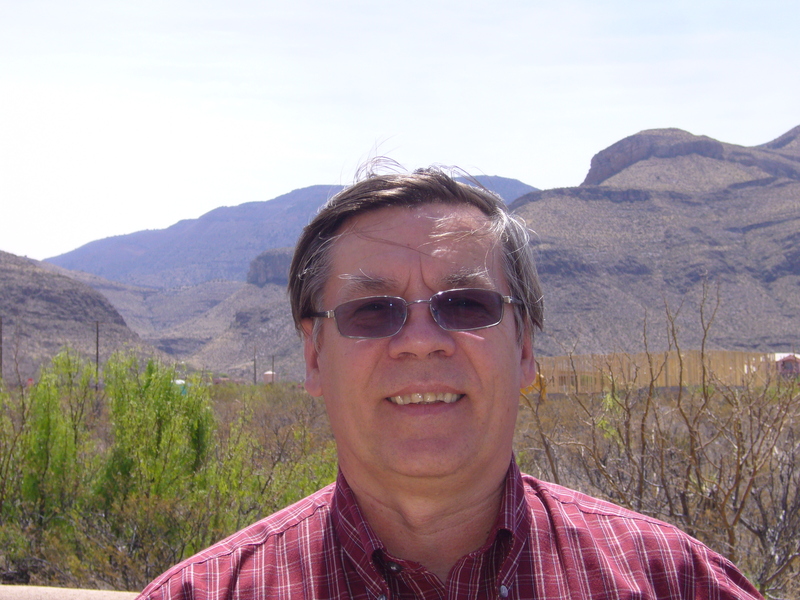 Dr. Vrtilek has authored or co-authored over 100 articles in astrophysics journals. She is on the organizing committee of the International Astronomical Union Commission on Astrostatistics and Astroinformatices. She serves as Astronomy Section Secretary for the American Association for the Advancement of Science (AAAS). 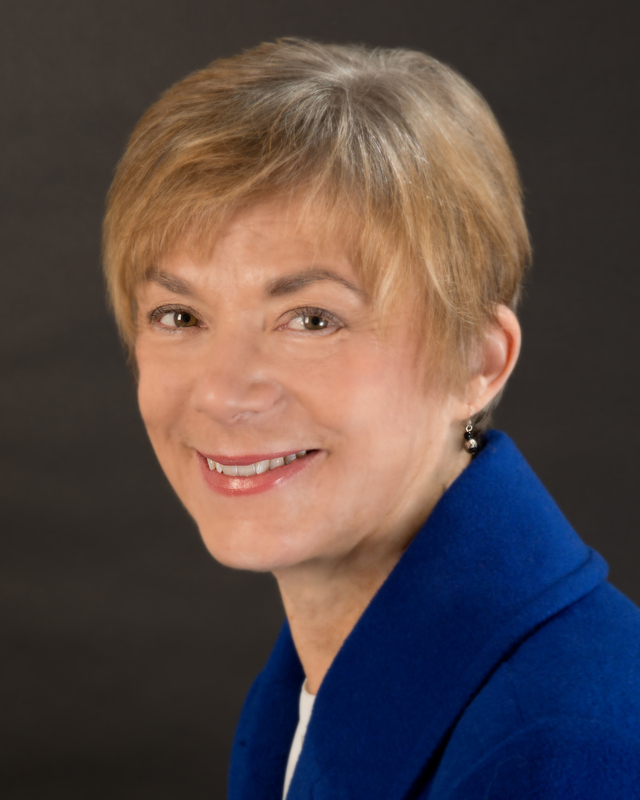 She has served on the American Physical Society Committee on the Status of Women in Physics and continues to serve as chair of site visits to Physics Departments. She was elected a Fellow of the AAAS in 2009. Dr. Frederick Walter is a professor of Astronomy at Stony Brook University. His research interests are the birth and death of low mass stars (especially novae), stellar activity, the very low mass end of the mass function, isolated neutron stars, and things that vary. He is an observer, with experience using ground based telescopes from the CTIO 0.9m through the Gemini-South 8.0m, the Hubble Space Telescope, and X-ray astronomy satellites. Dr. Walter teaches courses in science fiction, life in the universe, and “Surviving the Anthropocene,” in addition to the usual astronomy courses. As chair of AURA’s Observatory Council and a member representative to the Astronomical Society of New York, he does astro-politics on the side. 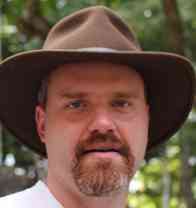 Dr. Jason Wright is an Associate Professor of Astronomy & Astrophysics at Penn State University. The university has a strong astrobiology program, and a vibrant Center for Exoplanets and Habitable Worlds. Wright studied at UC Berkeley as part of the California Planet Survey during the exoplanet discovery boom from 2001-2007, and his expertise is in RV detection of exoplanets, stellar activity, and astrophysics via high resolution spectroscopy. He has recently become involved in observations of transiting planets, exoplanet atmospheres, solar system analogs, and open clusters. Wright has also been heavily involved in the study of "Tabby's Star," KIC 8462852, and other SETI projects. Topics: Life in the Universe (Astrobiology); Impacts in the Earth-Moon System; Space Rocks! 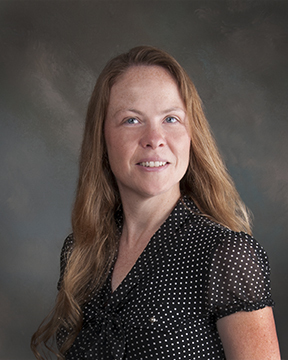 Dr. Nicolle Zellner is an associate professor of physics at Albion College in Albion, Michigan, where she teaches introductory and advanced astronomy and physics courses. Her research interests include understanding the impact history of the Earth-Moon system and how those impacts affected the conditions for life on Earth. She studies lunar impact glasses to interpret the bombardment history of the Moon (and Earth), and a second project focuses on understanding how the chemistry of simple molecules is affected by impacts. During the 2006-2007 field season, she was a member of the ANSMET team that searched for meteorites in Antarctica, where she and the team collected over 800 meteorites! Before coming to Albion College in 2005, she was a postdoctoral researcher at Lawrence Livermore National Laboratory’s Institute of Geophysics and Planetary Physics and a faculty scholar associated with the Edward Teller Education Center. Nicolle was a member of the scientific ground crew during NASA’s STS-67 Astro-2 mission in 1995, an AAUW American Fellow (2004), and a two-time Zonta Amelia Earhart Fellow (1999, 2000). Her research has been supported by the American Astronomical Society and is currently supported by the National Science Foundation and by NASA. Sponsored by the American Astronomical Society and the Harlow Shapley Visiting Lectureships Endowment Fund.